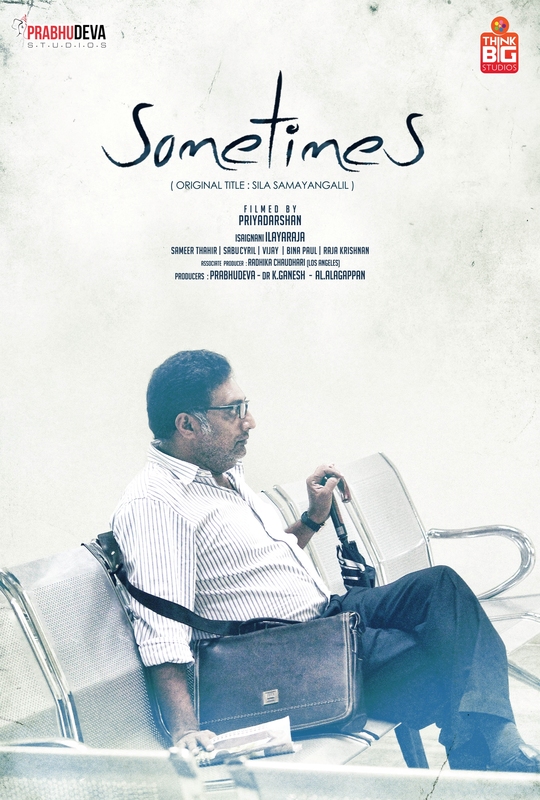 Synopsis - As 7 strangers spend a day at a lab in South India, impatiently waiting for their AIDS test results, they reluctantly share how they fear they may have contracted the disease and band together to sneakily obtain their results sooner. 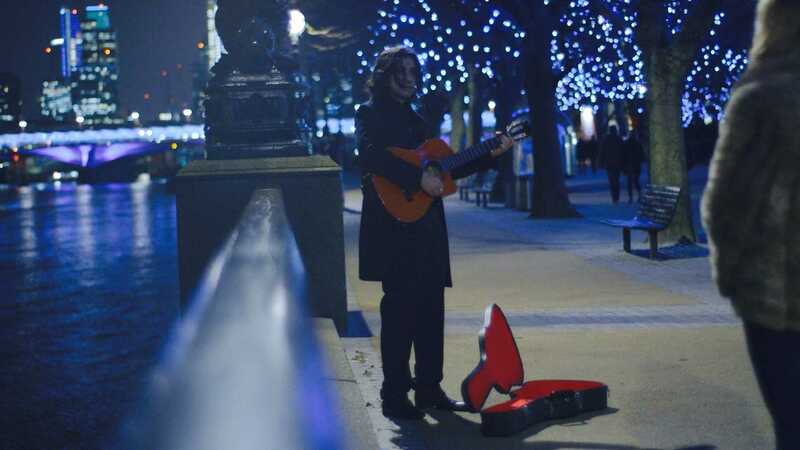 Synopsis-When an Iraqi musician receives death threats and is forced to leave his country and the love of his life, his destiny turns around and he is forced to choose between a big break in his musical career and his refugee status. Screening Time- 11.00 A.M. - 08.00 P.M.
Synopsis- Masakkali is a contemporary film based on family relations and love story of Deepak and Bulbul. This film is based on true events of Kedarnath natural disaster and how it affects the relationship of a couple and a father. 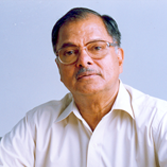 Synopsis- On the advice of several friends and admirers, I have video graphed my autobiography explaining my experiences of my 60 years of film career, which included several films like Pushpak, Appu Raja and Mayuri. 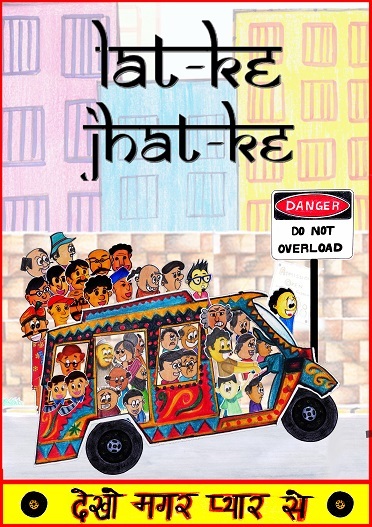 Synopsis- Latke-Jhatke is the story of our Indian Roads. With the growing population, and a 24 hour day falling short, Indians seem to be turning to the dangerous ways of travelling in overloaded vehicles. What they haven't realized, yet, is how it is putting their lives, and the life of their loved ones in danger. 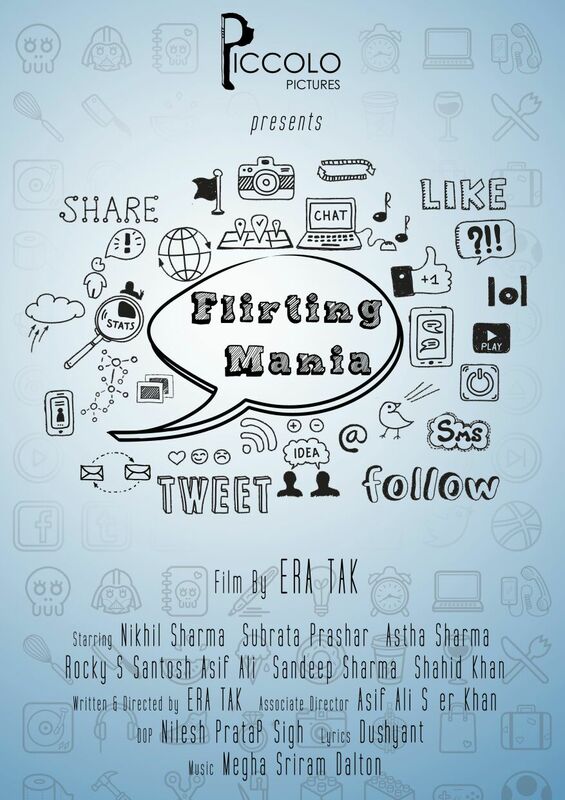 This short movie aims upon making you laugh with a twist of a lesson. It may be called a satirical view of the situation, but its an honest attempt and an appeal to the citizens of India. 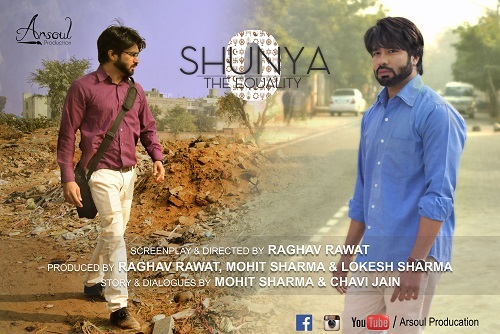 Synopsis- `Shunya-The Equality' is a short fiction film which is the step to revealing the darkside of our society. Equality, the topic which needs to be focused but haven't solved yet. It's a story of a man who is a teacher and teaches about equality in the class. But in his personal life when his wife shared curd from their neighbour (who is not from the same religion) and serves him during the lunch. It made him furious. After this he experienced different situation on the same day and how he realized the reality of our society. This film is about the things we teach to others but we don't apply in our lives. Synopsis- Mayuk Sinha, an Engineering Entrance Exam topper, wants to escape from his reality and is out to find Platform 9 3/4 on an Indian Railway Junction. Synopsis-Hellhole is a short silent film based on the life of conservancy workers, better known as gutter cleaners as seen through the life and oft forgotten humanity of one such worker. Synopsis- An insight to the life of wrongly convicted Mohammad Aamir Khan, who faced trial for 14 long years to prove his innocence. 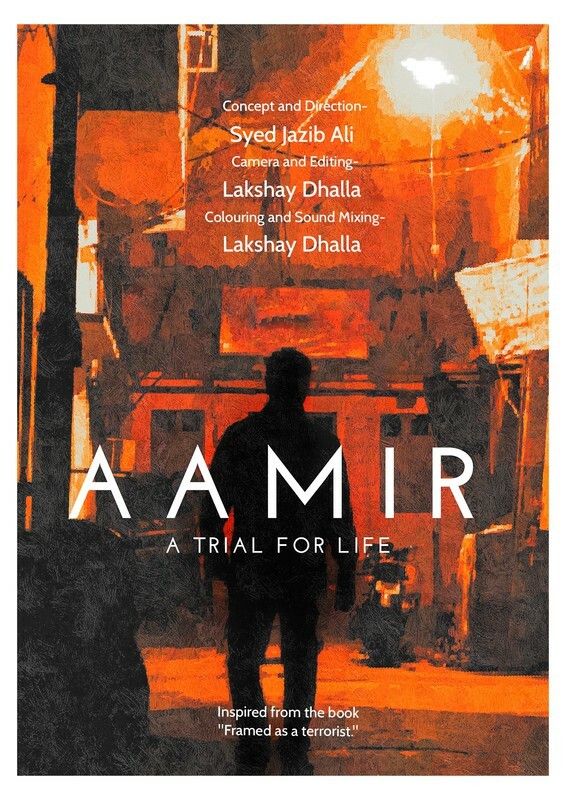 The story gets up close and personal when Aamir opens doors from his past and also throws light into his present in this short documentary film. 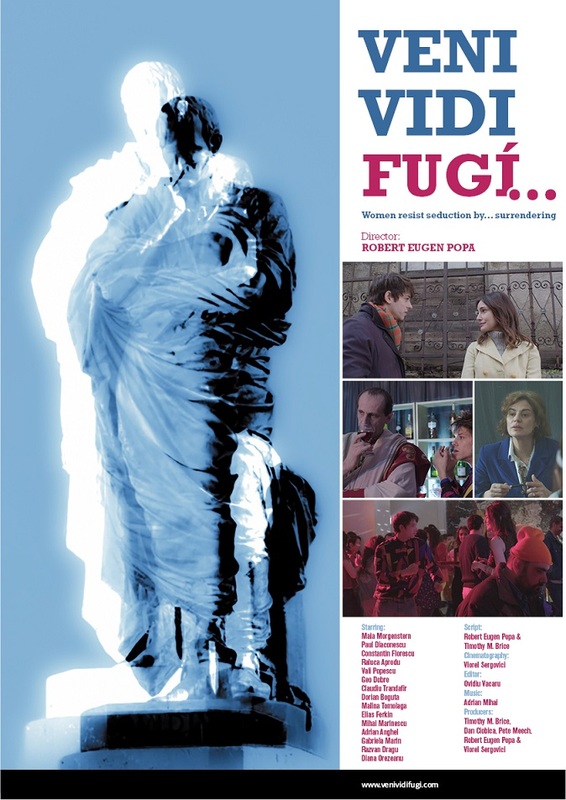 Synopsis- The film is dealing with the power of the soul of the disabled persons and the war refugees in Greece. Two extreme marginalized groups with the most helpless victims, the one of the countries of the third world with racial and ethnic minorities, and the second one is often socially degraded. Their common field in life is the fear, the love and the will, the triptych of the motto "that which does not kill us makes us stronger"! 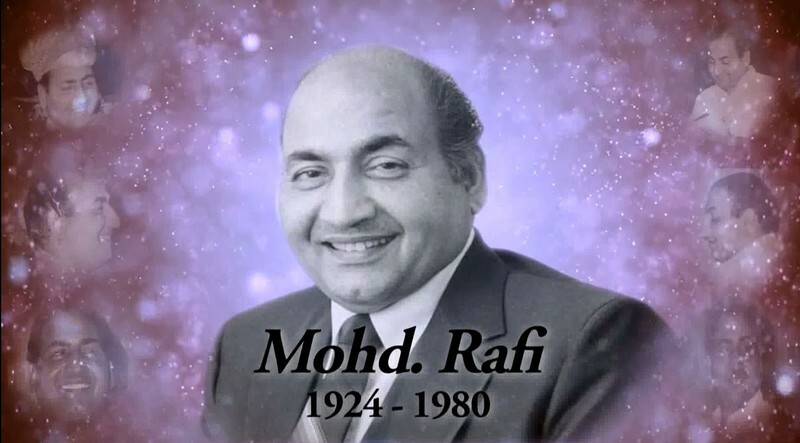 Synopsis- LifeOgraphy of Late Mohammed Rafi "Dastaan E Rafi" a documentary has 2hrs duration research based journey from his birth to death. 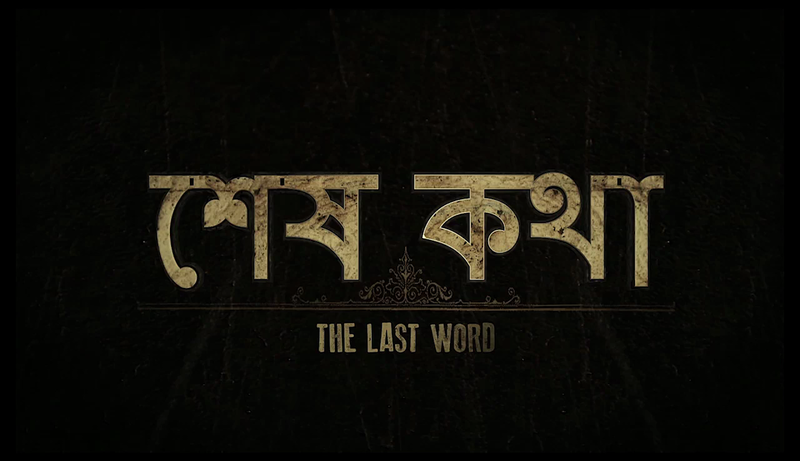 Produced by Rajni Acharya, Directed by Rajni Acharya and Vinay Patel. This a Takshila Multimedia Production. 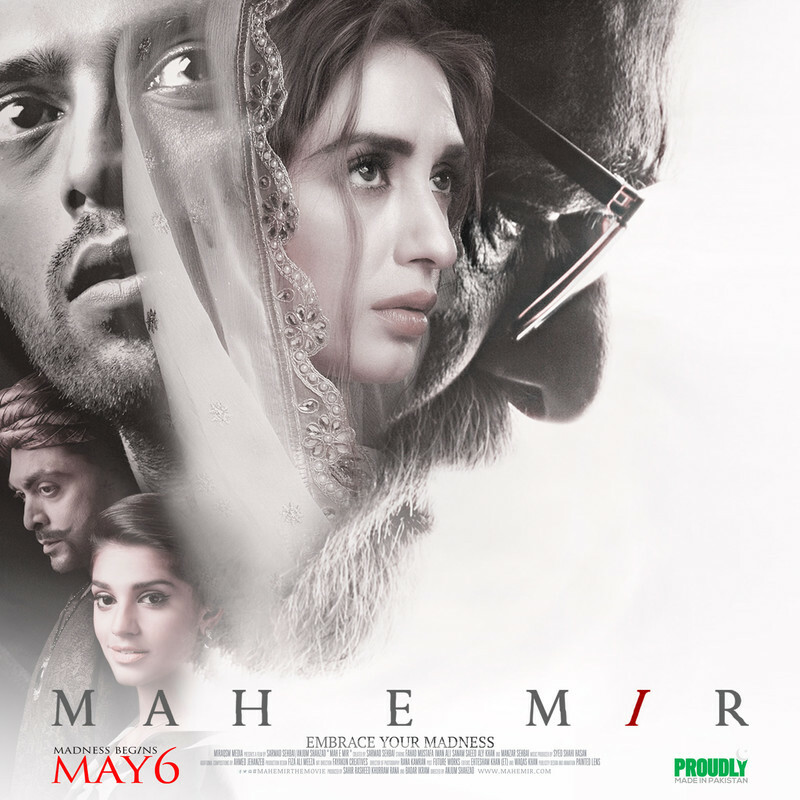 Synopsis- The movie is inspired by the work of Mir Taqi Mir, the first classical master of Urdu poetry. The story follows the struggle of a contemporary poet and draw parallels with events in MIR's life. His conflict with the royal court, his romance with a courtesan, his ideals of bringing Urdu poetry to the people in the street and his eventual madness in full moon, all reflected in his poetry. Synopsis- The hurricane strikes stucking together an unlikely group - at gunpoint. And what started as a light comedy about the trials and tribulations of romantic love and the pitfalls of married life, turns into something much darker. Synopsis- A Tibetan buddhist monk is grappling with existential anxiety. 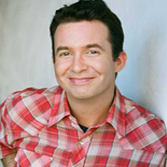 His insights challenge a universal human foible: the obsessive pursuit of happiness. The Sad Monk takes a look underneath the surface of a distinct and idealised environment; the holistic upbringing and rhythm of life in the monasteries of Nepal. 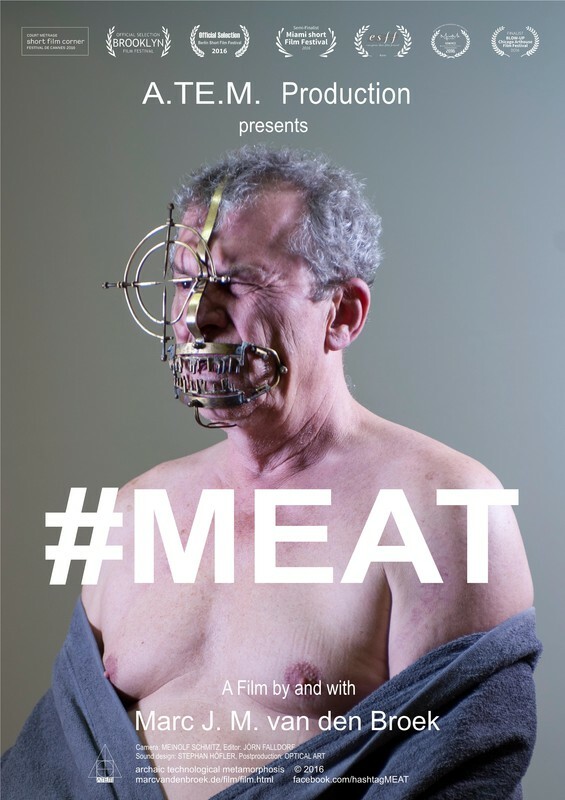 Synopsis- Constructed entirely from still images the film is based on a photo-narrative by the same name that took the Internet by storm in January 2016. 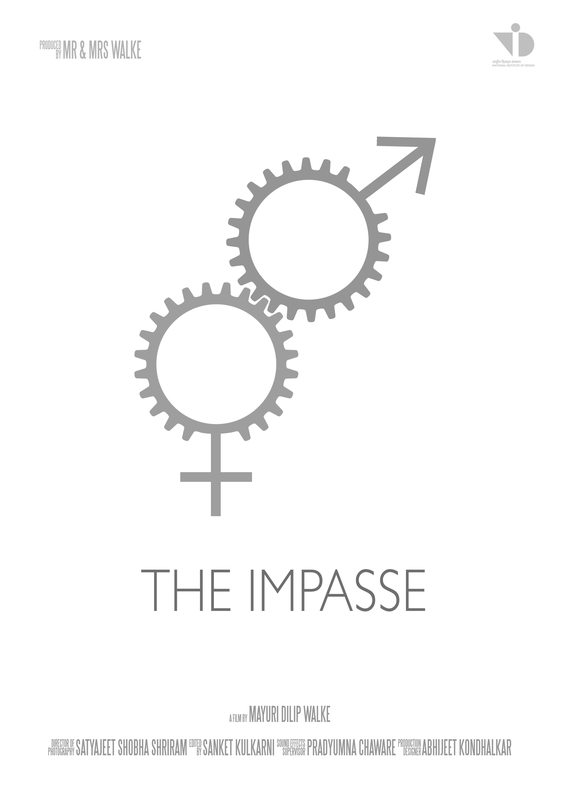 A poignantly narrated tale of a woman caught in a patriarchal society. It is a story about equal rights, sacrifice, and love. Synopsis- A Brave Bunch. The Uprising through children’s eyes. When the Warsaw Uprising started in 1944, thousands of children lived in the city. Brave Bunch is about those who survived. A hybrid documentary by Tomas Stankiewicz tells a story of heroic and tragic 63-day struggle to liberate Warsaw from Nazi Germany occupation during World War II from a child’s perspective. 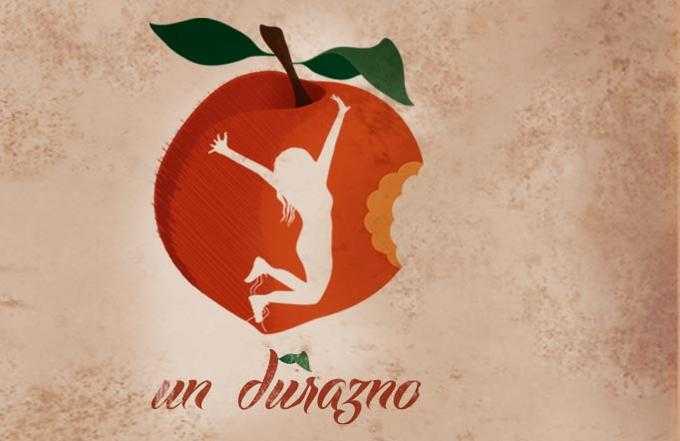 In the film a group of kids finds an authentic dairy from the Warsaw Uprising. Looking for its owner they stumble into the Warsaw Uprising Muzeum. Thanks to the diary’s magic power they meet their peers from 1944 who survived complete destruction of Warsaw and slaughter of its inhabitants. 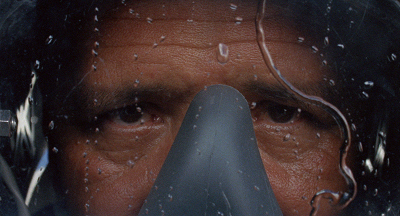 The film takes viewers to the old backyards of Warsaw and the dangerous city sewers. Synopsis-BarpetaXatra`s Doulotshav is unique Holi festival in India. It is performed with sacred rituals and a distinct local flavour. 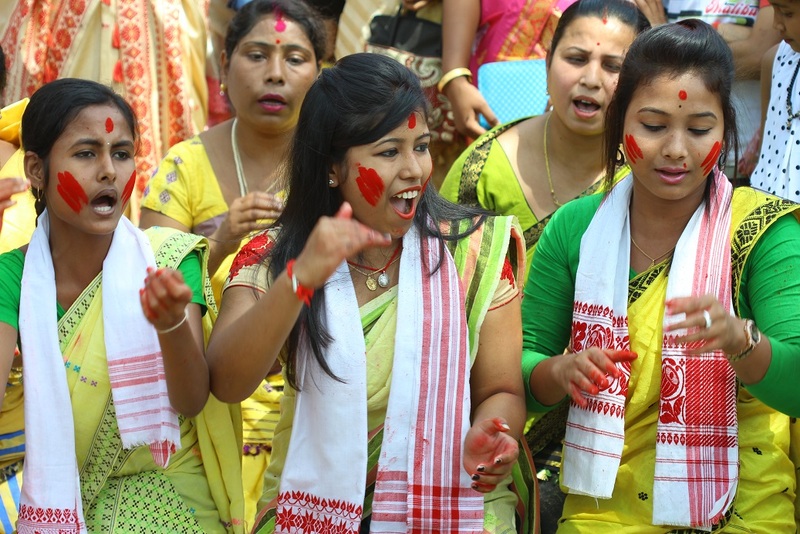 But Barpeta`sDouljatra is Krishna-centric, as the Assamese Vaishnavite movement does not give much importance to the Radha character. The divine significance of Douljatra is complete devotion to the ultimate one or Paramatma. 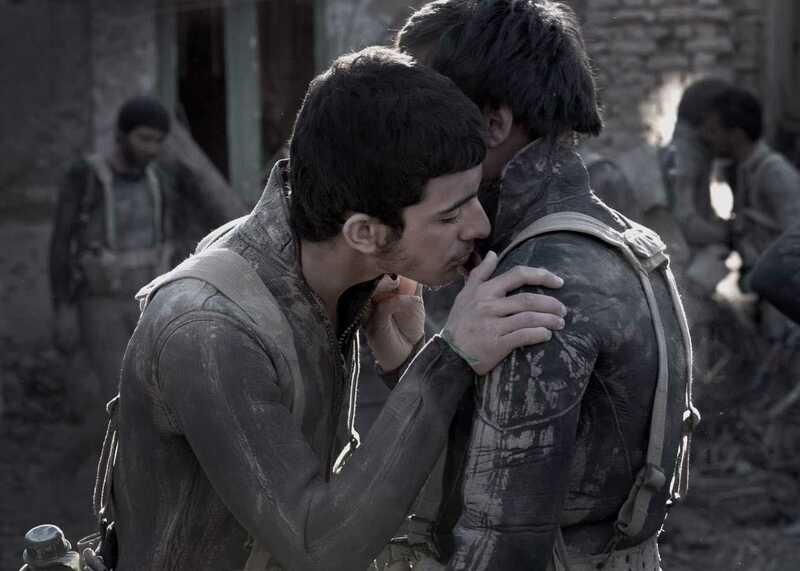 Synopsis- Jonas (Saeed Aghakhani), a former Iranian soldier during the Iran-Iraq War, sets out to search for his fallen brother's bodies years after they have been killed in action. Synopsis- Experiencing the self is a reflexive perception of one’s emotions and an interpretation of one’s innermost consciousness . It is an expression of THE THINKING BODY and an acknowledgement of being alive. Therefore we dance. And also the films explains the different layers of spirituality in INDIAN form through classical intervention and our culture. Synopsis- A baby is communicating with his parents from inside his mother's belly and starts to negotiate his forthcoming birth. Naturally, the baby decides to hire a notorious lawyer. 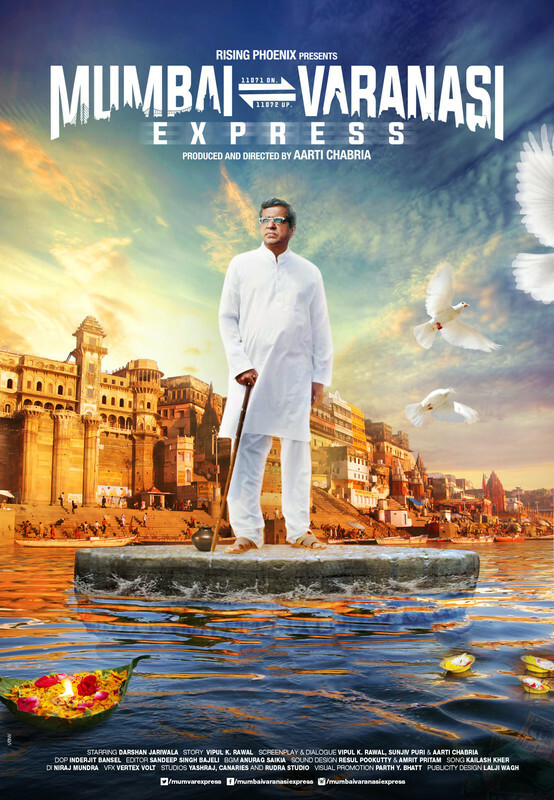 Synopsis- The story of the film CHITRAKAR (THE LAST MURAL) is inspired by two incidents in the life of two legendary painters. Binod Bihari Mukherjee of India and Mark Rothko of US. Screening Time- 11.30 A.M. - 08.00 P.M.
Synopsis- For the Klurs, nothing is going right: their factory that had made suits for Kenzo (LVMH) was relocated abroad. Now unemployed and in debt, the couple stands to lose their home. That’s when François Ruffin knocks on their door. Can they manage to pull one over on Bernard Arnault, CEO of the world’s leading luxury group and France’s richest man? Synopsis-Beatrice is a motor-mouthed fantasist, a self-styled billionaire countess who likes to believe she’s on intimate terms with world leaders. Donatella is a tattooed introvert, a fragile young woman locked in her own mystery. They are both patients at the Villa Biondi, a progressive but secure psychiatric clinic. Paolo Virzì’s new film tells the story of the unpredictable and moving friendship that develops between the two women as they flee the mental institution in search of love and happiness in the open-air nuthouse - the world of sane people. Synopsis- Lucy, a young woman flees the quarantine station of a hospital in order to find aspace to write down her story in form of a novel. After breaking into a house by a lakeshe is confronted with the neighbour, who believes she is the daughter of the owner. Itgets dramatic when the actual owner shows up. Synopsis- The hopelessly romantic Lisa takes desperate measures to win her former lover back. But the fact that he already has a new girl at his side and that Lisa needs to bring her alcoholic father to an anti-varicose-campaign photo shooting without letting him know, is not particularly helping. The tragedy takes its course. Synopsis- Mr. Wong is a third generation fisherman in Hong Kong, struggling to keep this tradition alive. One night, he decides to leave the crowded waters of Victoria Harbour, and fish in calmer waters. His luck changes when he catches something that does not belong to this world. Synopsis- Misterious luminous objects appear each night at San Andres beach, Thomas will discover it's origin and the relationship those objects have with his own family. Synopsis- Without Eve portraits all solitude and affliction of a man and woman who live and stay witheachother's impression and fantasy ; and suffer from this separation. 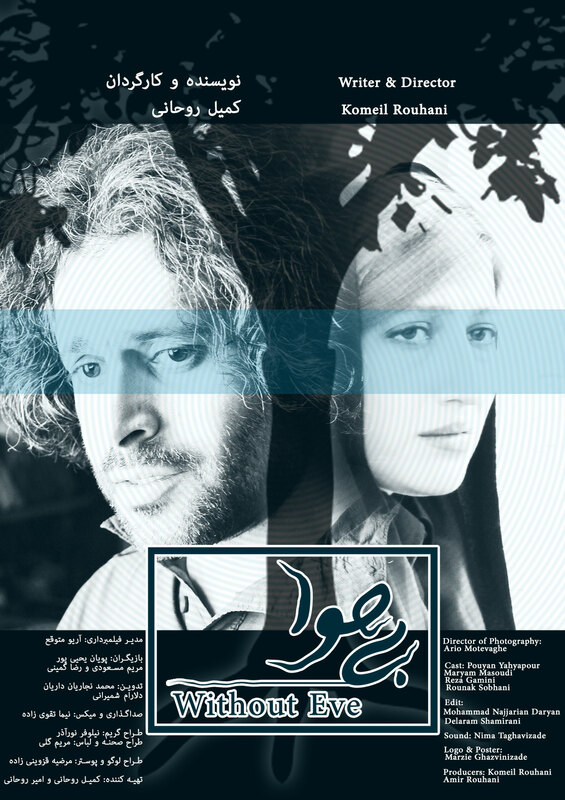 Synopsis- Sport short film to honor the iranian action actor Jamshid Hashempoor. 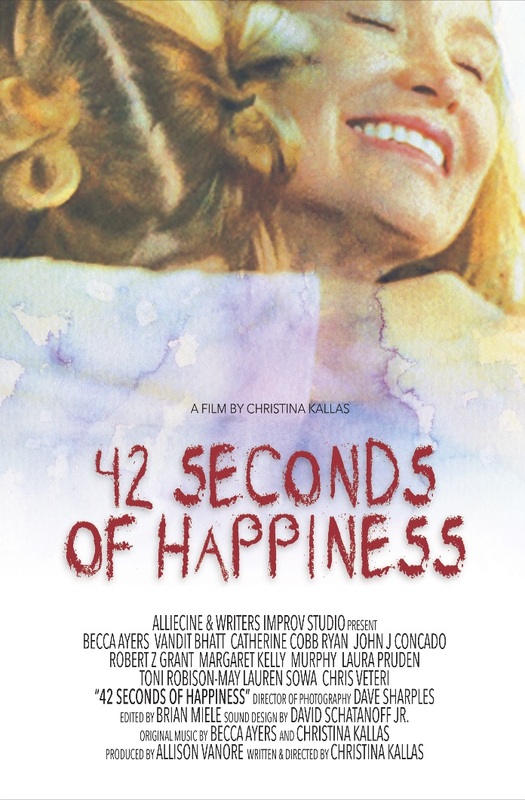 This film produced in one day. 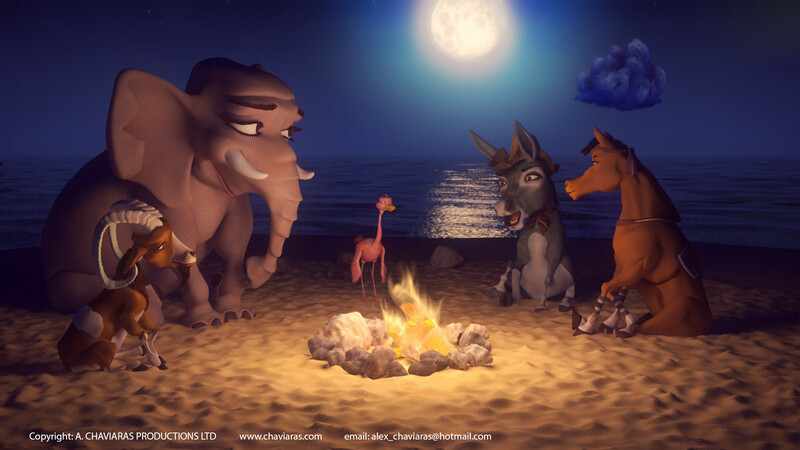 Screening Time- 09.00 A.M. - 09.00 P.M.
Synopsis- The film is a herculean task of a child Gauru along with his animals and little sister who set out on a long journey, the difficulties which they face, their moments of hope and despair. 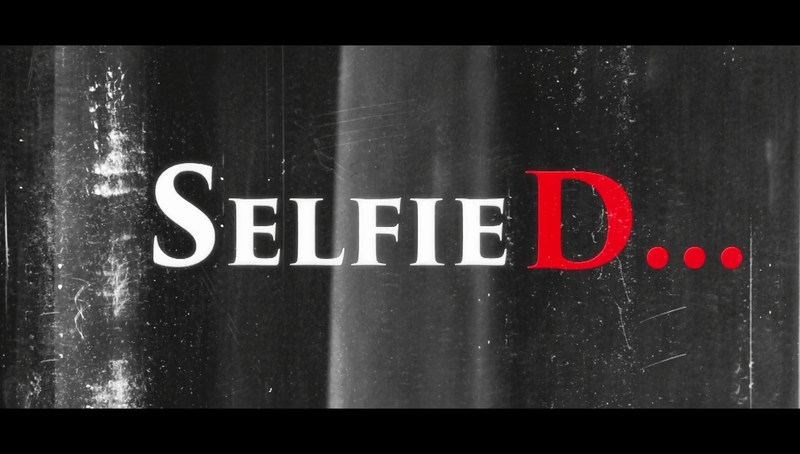 Synopsis- One guy finds an abandoned cell phone which contains many selfies. People start disappearing around him, even his girlfriend. 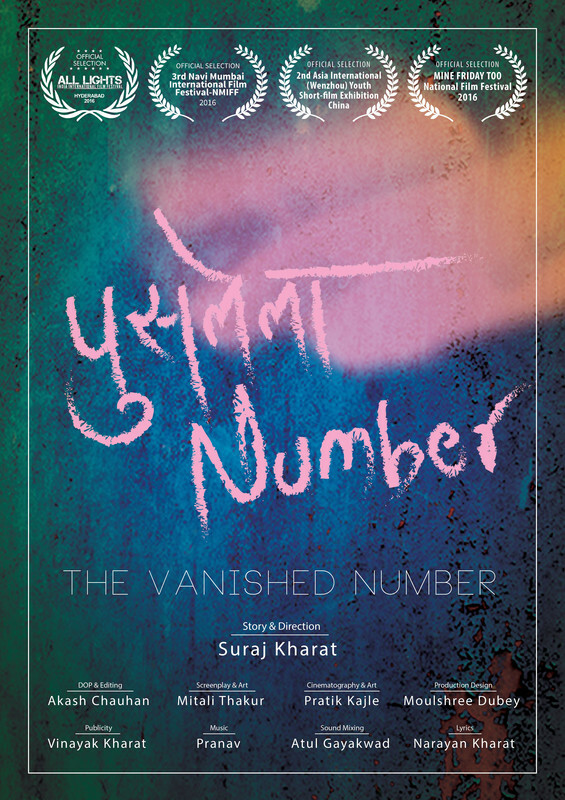 Everyone thinks he is responsible for the disappearances and soon, he is chased by the police to find the truth. Synopsis- Vikrant is an ignorant lover. He is too much busy in flirting on social sites. 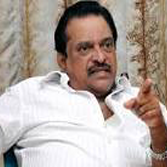 One day his girl friend Pooja caught him red handed and break the relation. After few days Vikrant realizes the importance of love. He repents and at last his GF Pooja forgive her. 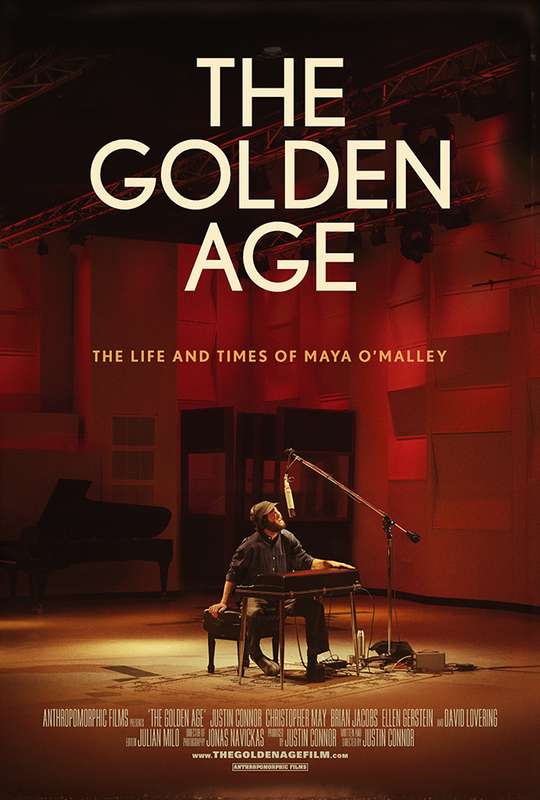 Synopsis-Inspired by true events, THE GOLDEN AGE is a tour de force musical film about subversive pop star, Maya O’Malley (Justin Connor), who after a string of incendiary remarks in the press, gets dropped from his music label, Aspect Records. 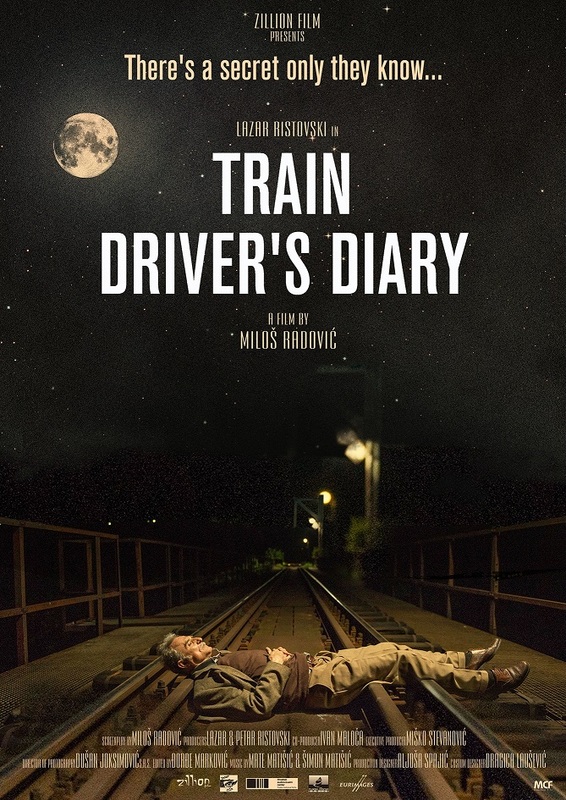 Synopsis-During his professional career, every train driver inadvertently kills 20 to 30 people. Their victims are usually suicides, careless, drunken, or justabsent-minded people. This is a tragic comedy about innocent murderers and their lives. 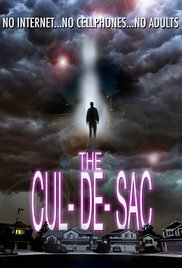 Synopsis- Nearly 50 years ago, a mass murder was committed in the small Florida town of Arcadia. The victims were all children in the same family of African-American citrus pickers. Their father James Richardson was convicted of the crime and sentenced to death. More than 20 years and a series of unprecedented miracles followed in order to set him free. Now, in the present day, James Richardson travels back to Florida in the hopes of receiving a glimmer of justice from a State which took his life away. This is a story that has unfolded countless times in different ways in small towns across America. This film represents a multi-generational effort to diagram this story from beginning to end, in the hopes that we can one day learn how to prevent it from ever happening again. 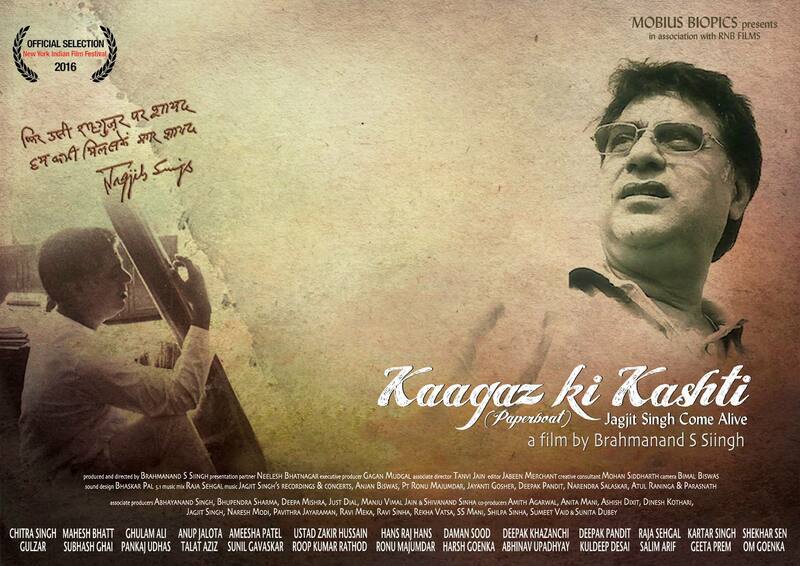 Synopsis-Kaagaz Ki Kashti … a film on Jagjit Singh, is an evocative account of a down-to-earth small-town boy from Ganganagar, Rajasthan who made it big by adding that extra something in his music … giving it a polish and a soul at the same time … choosing simple but touching urdu poetry, setting them to simple tunes and introducing western instrumentation to make them textured, contemporary and rich. 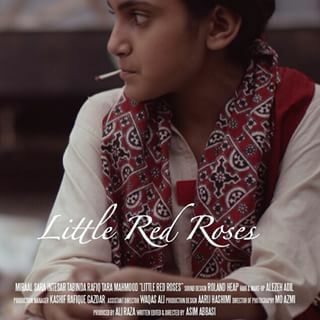 Synopsis- On the cusp of puberty, a young girl who DRESSES up as a boy to sell roses on the streets of Karachi, Pakistan, has a chance encounter with a famous TV actress / model whom she idolises. Synopsis- A personal take on gender stereotypes represented as a blind date going bad. Synopsis- It is the story of a couple that are finding it hard to live in an extended family setting. 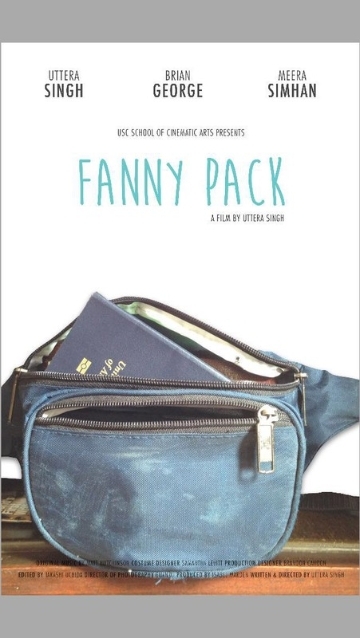 Synopsis- Fanny Pack is a comedy about a young Indian-American woman who wants to follow her dreams, and a fanny pack clad Indian father who chases his daughter through an airport hoping that she will follow his. Synopsis-A charismatic and versatile twelfth grade student in Communist Romania is the worst Latin student. The most famous, iconic and larger than life Roman poet, PubliusOvidiusNaso, exiled 2000 years ago to the desolate shores of the Black sea 'shows up' and proposes him a providential, yet tough to fulfil deal : to elucidate the greatest local enigma - why was Ovid exiled from Rome to an obscure Roman outpost on the Black sea ? 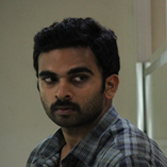 Synopsis- Set in the back drop of the Kerala, South India a small theatre named “Kerala Paradiso” struggles to exist. Naveen works in this theatre owned by his uncle. His world is all about watching movies and helping his Uncle in the theatre. His world comes crashing down when he gets to know that the theatre is being locked down as it was mortgaged by his Uncle. Racing again times he and the movie buffs try to save the theater. Naveen had to break the world of cinema and come to reality. 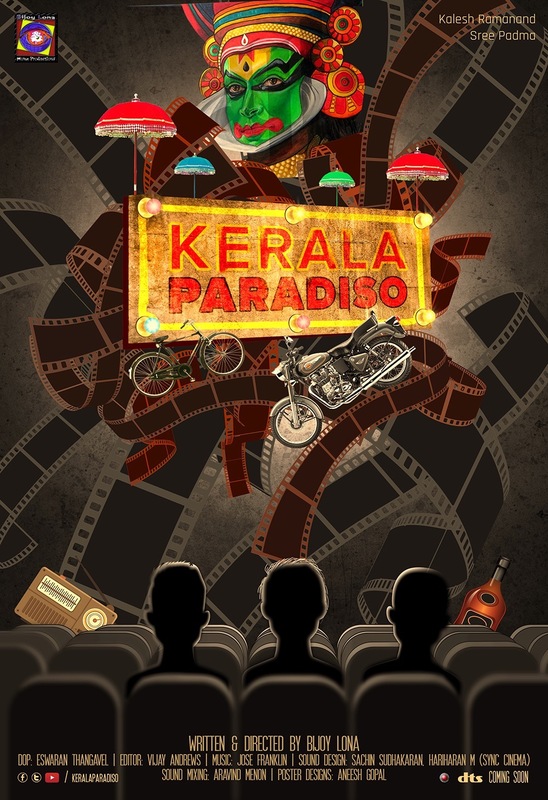 Would he realize the reality before he loses his love or the theater “Kerala Paradiso”. Synopsis- Laura is an athlete who suffers the loss of a loved one, just before of an important race, pain and depression invade her footsteps. Julia, Laura's best friend puts in front of her an important decision. 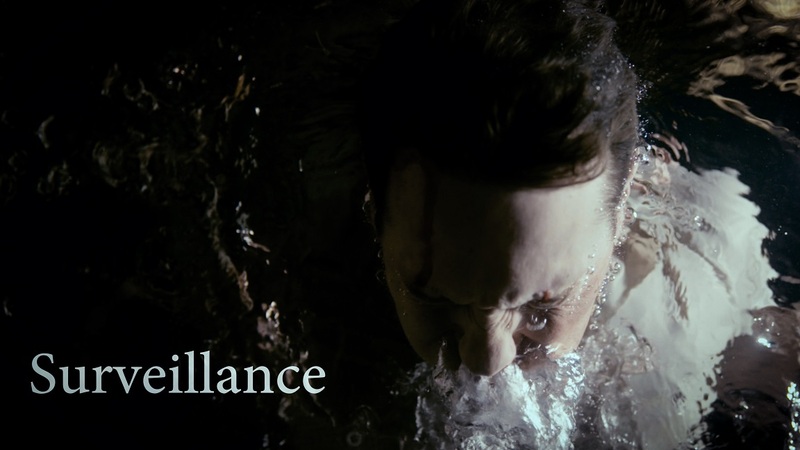 Will she continue drowning into the pain or she will continue on the race of her life? Synopsis- Someone told the godson that when a good man dies, god starts to cry and it rains heavily. So to stop the drought that is killing the town, someone very good needed to die. 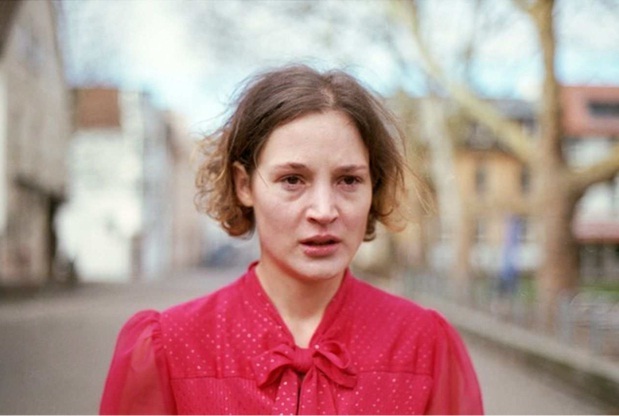 Synopsis- Shot as a series of fragments by Belgian-born artist and sculptor Marc van den Broek, this six-minute art film resembles a retrofitted tale of Faust. Synopsis-Mary along with her two daughters live in a remote village of Afghanistan, the only son and young man of her family is serving for military in Kunduz province. One day she hears the news of fall of Kunduz province to the hand of Taliban on radio, since the authorities have no news of her son, she decides to start her own journey to Kunduz to find his son. 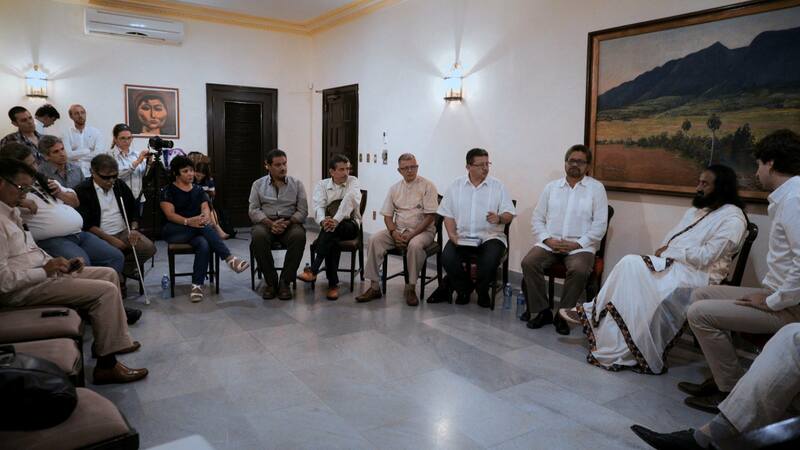 Synopsis- This is a short film about the Colombian peace process, based on the peace talks held in Havana between Indian spiritual leader Sri Sri Ravi Shankar and the FARC. Synopsis- A colorful documentary about the mornings of one of the oldest living cities on the planet, Banaras. Synopsis- On the road that winds through the moorland straddling the Scotland England border we meet the travellers that stop for a break by the granite border markings in the weeks just before the 2016 EU referendum . Synopsis- Peter returns to Poland from Iraq war. It turns out, that his lesbian sister moved into their family home with her girlfriend. Will the soldier learn to accept their love? 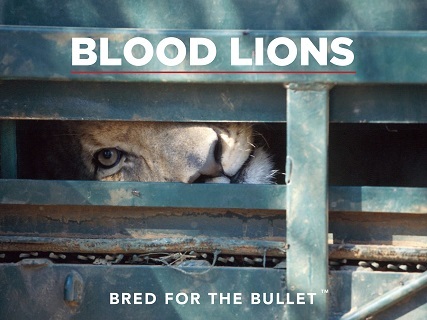 Synopsis- Blood Lions follows acclaimed environmental journalist and safari operator Ian Michler, and Rick Swazey, an American hunter, on their journey to uncover the realities about captive lion breeding and canned hunting. 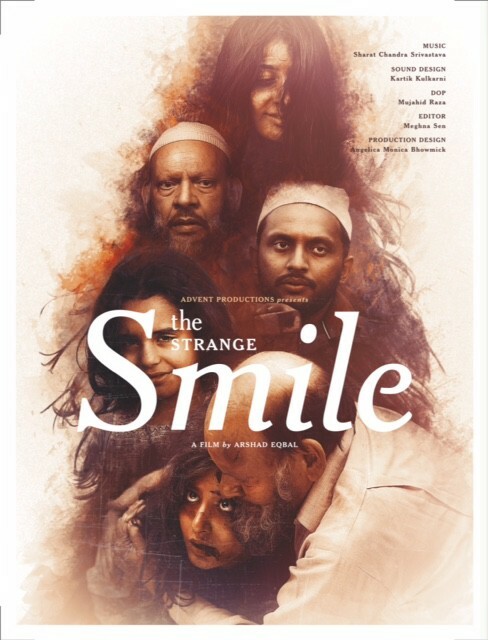 Screening Time- 01.00 P.M. - 04.00 P.M.
Synopsis- Roy Payamal is the wildest busker of a country ranked the world’s most emotionless society- but is his faith impossible idealism or an admirable conviction? 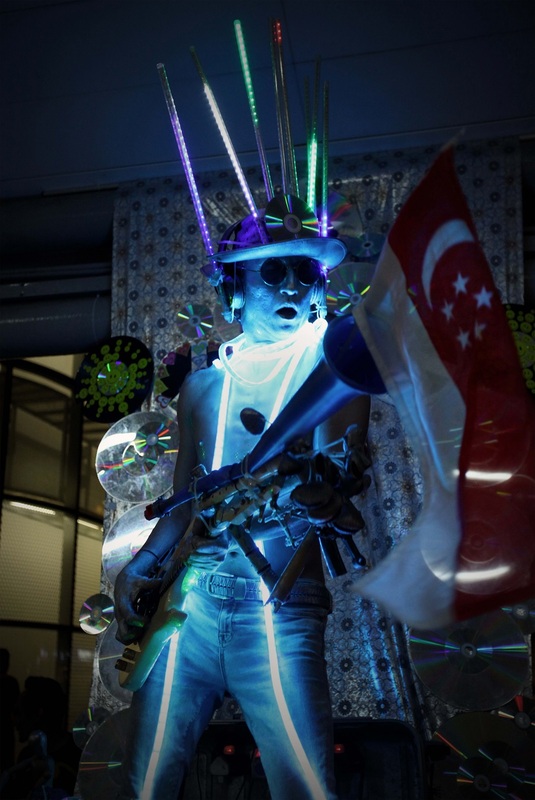 Singapore Minstrel is an invitation into his beautiful mind, a magical, trying universe where art and life dialogue in a tropical dream. 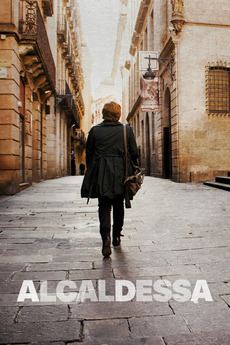 Synopsis-Alcaldessa follows the footsteps of Ada Colau during one year, from the beginning of the candidacy of Barcelona in comú until the day that she is appointed mayoress of the Catalan capital. 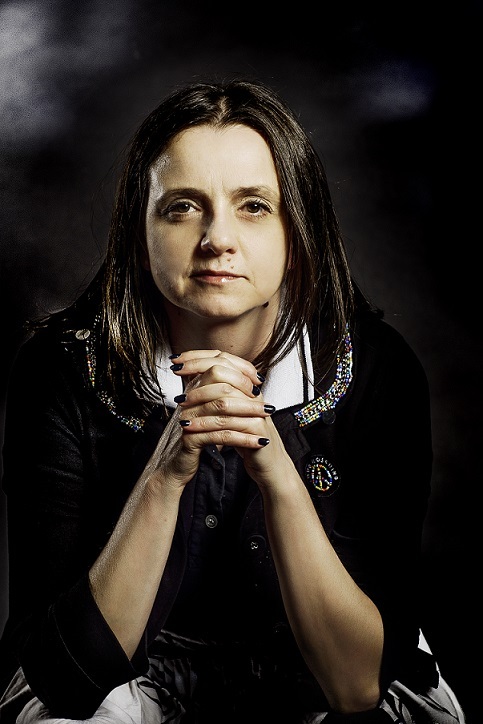 The intimate chronicle of the events - including Colau’s personal video diary - and the privileged access to the bowels of the formation show us an extraordinary event that unites two universal topics: the story of a historic victory, a paradigm of the political changes taking place in southern Europe, and the inner struggle of someone who is becoming the very thing she had so often put into question. 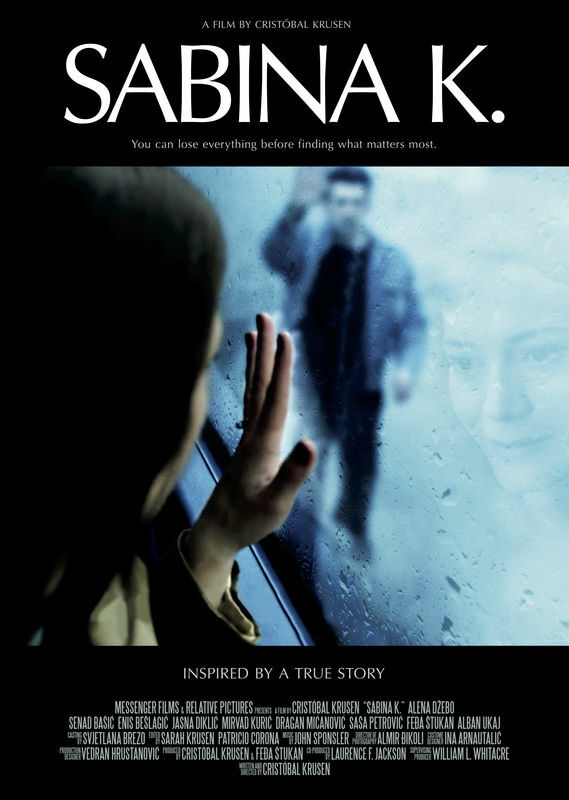 Synopsis- Sabina, a divorced mother of two small children, falls in love with an old friend from the Bosnian war. The two plan to marry, but things go terribly wrong. Synopsis- The villagers of Sendenyu and Sukhai in Nagaland have been conserving the forest on their private land for the past many years. Entry is restricted in the forest that is spread over tens of sq. kms. Hunting, fishing, logging and collection of forest produce is completely banned. Anyone who is caught breaking the law is fined. As a result, the reserve has now turned into thick forest and is teeming with wildlife. But there are challenges. Some of the villagers want their land back, a few want the area to be opened for hunting again. In absence of funding and support, the communities are finding it difficult to conserve their forest. 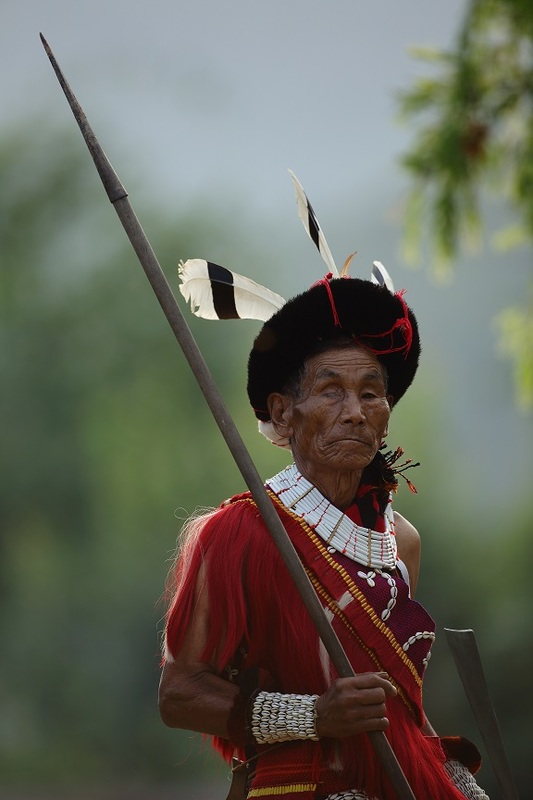 This is not just the story of Sendenyu and Sukhai, but of hundreds of other villages in Nagaland as well. Synopsis- Zarch well since 15 years ago changed a lot. 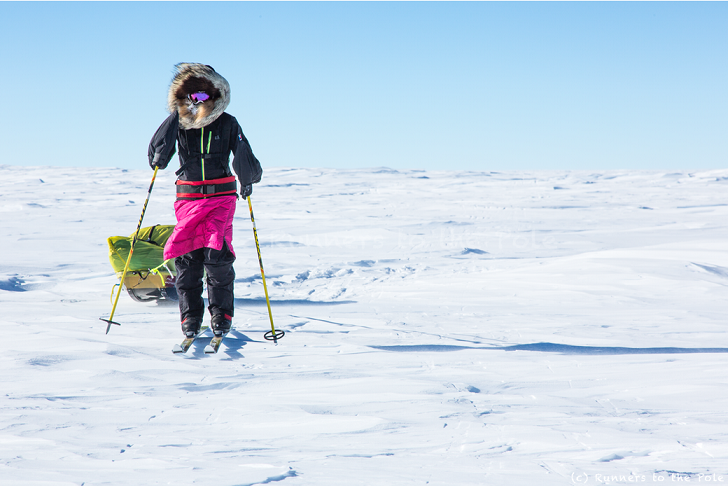 Synopsis- The film is an invitation to discover Antarctica. This 30 minute film is not only about adventure but also about the meaning of things, fear, freedom, fulfillment, and boldness. A sanctuary, where nature is so powerful and strong against explorers who dare to come, but at the same time so fragile. 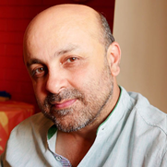 Synopsis- It is a story set in Kashmir where two badly injured people one of whom is militant and other is army man met at a same place in a Kashmiri house. How both of them deal with the situation in the house. 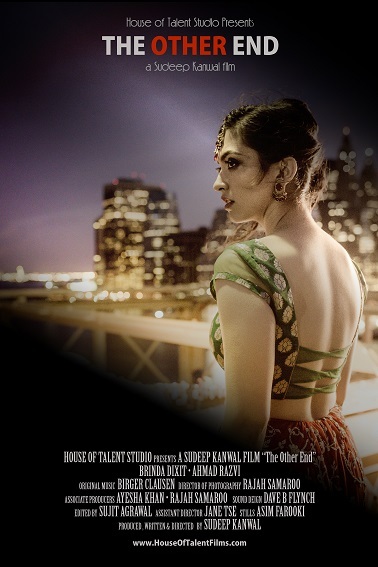 Synopsis- VANVAA is a heartbreaking story of Shevanta who is in search of water rain and happiness of her family …… all of which forever eludes her …. Synopsis- Six year-old Priyanath imagines himself to be a superhero taking down imaginary villains with his extraordinary powers. But when he learns of a real danger near his home, Priyanath must decide if he’s actually got what it takes to be a real life superhero. 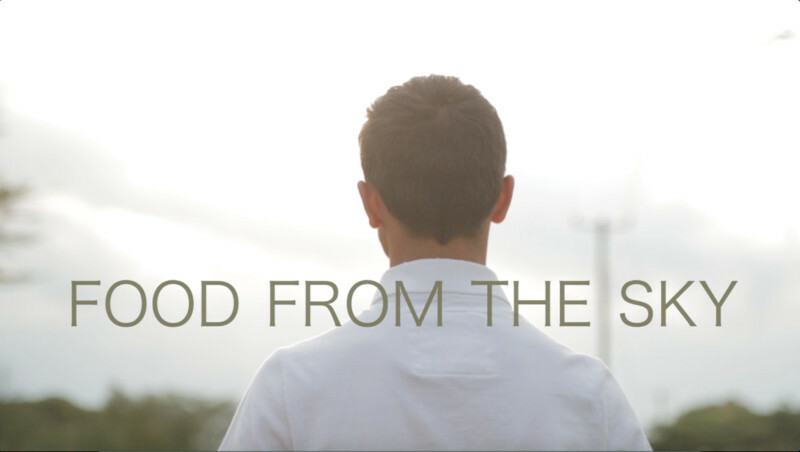 Synopsis-With the world stricken by hunger and poverty, I go on a journey to find a solution. I meet all types of people ranging from farmers to government officials to see what the world has been doing to make a change. Through my journey I find various technologies that can improve the food people get, by allowing the common farmer to work with better equipment. As the journey comes to an end it is evident that agriculture needs to be revived in a more efficient manner. And that technologies such as drones need to be brought in to improve crop yield and essentially the condition of a country. 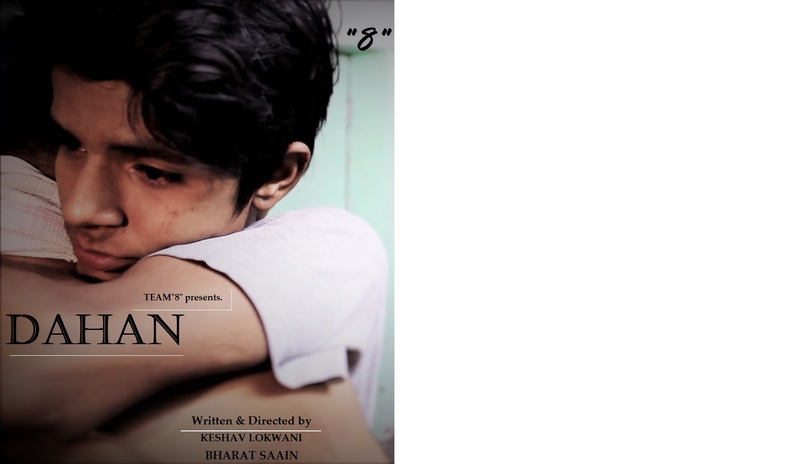 Screening Time- 09.00 A.M. - 10.00 P.M.
Synopsis- Movie dahan is a realistic drama based on the life of a boy (kamal) who loves to play harmonium belong to a low class family as his father and brother are rake they always shout at him and he had a fight with his brother (bunty) but in the end bunty realizes and present an apology . 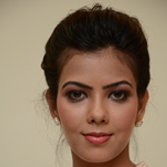 Synopsis- The hijras, are born neither man neither woman evoking beauty, bravery, and straightforwardness. The protagonist wants to teach how to live properly. It’s not essential to only seek happiness, one must learn to be respected because they are strong people with pure hearts. Synopsis- A young mare visits Cyprus to take part in races. Frustrated from failure, she abandons the racetrack after confronting her strict father. The mare will meet new friends who will try to help her find her lost courage. 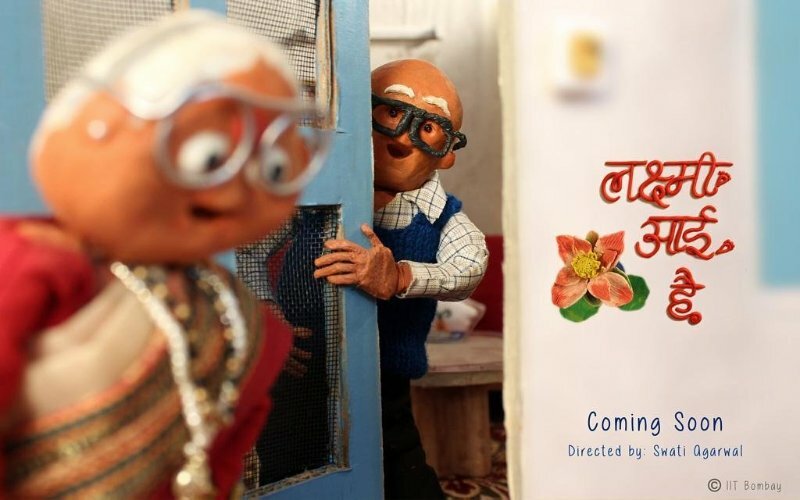 Synopsis- ‘Lakshmi Aayi Hai’ (Homecoming of the Goddess of Wealth) is a sneak peak into the lives of an old couple on the occasion of ‘Diwali’, the Indian festival of lights. Kishanlal (Grandpa), a 70 year old, retired government employee, lives with his wife, Mishridevi (Grandma), who is a retired school teacher. Grandpa is spirited and mischievous and his wife is disciplined and dutiful. Like in any typical Indian household, Grandma has cleaned the house and adorned the verandah with ‘rangoli’ (colorful, traditional Indian floor art) for the occasion of Diwali. 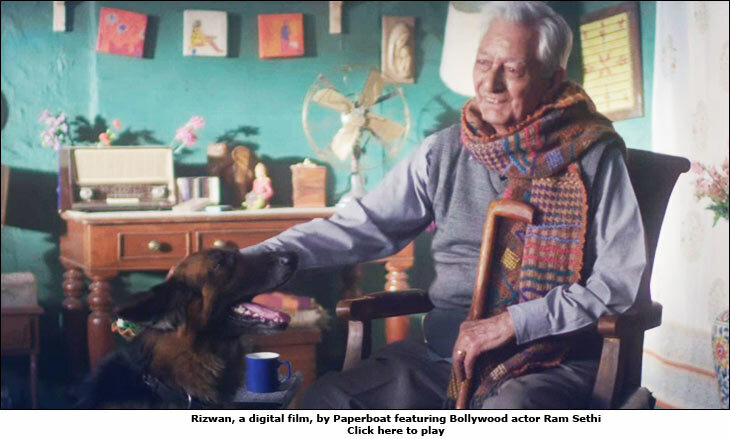 What do you think would happen if grandpa happened to step over the rangoli? 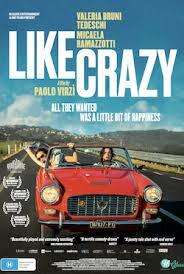 The film unravels the chaos that ensues thereafter. Synopsis- You know the nagging thoughts that start with "did I leave the coffee on?" and turn in to "what if I give birth to Satan's baby?" 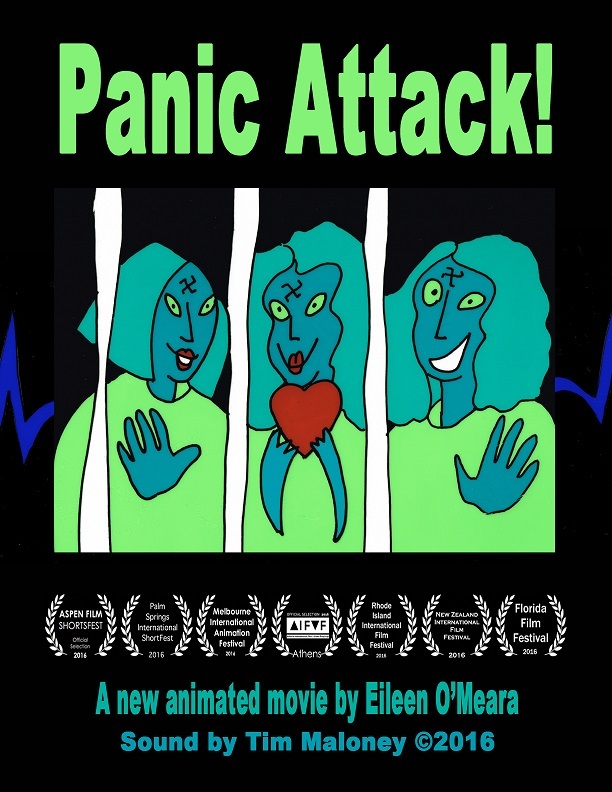 This animated short explores anxiety, obsession, and one woman’s slippery hold on reality. Synopsis- BEING THERE portrays four people from different cultures giving care to dying people. They present different ways how to show up for dying individuals in the last period of life, reflecting on their relation to death and dying. The protagonists raise the question whether we should adopt a new ArsMoriendi in today’s time – a new art of dying – as was the case in the Middle Ages – that would comprehend dying as a vital part of life and that could enrich our lives again by dealing with our death more consciously. 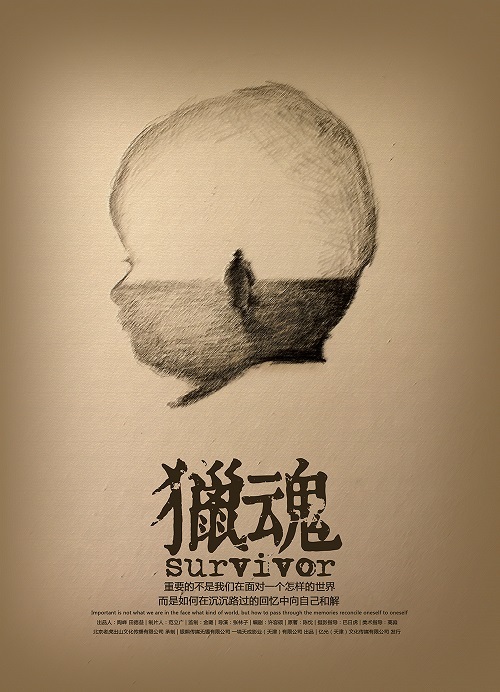 Synopsis- 15 AUGUST is a painful story of faceless people . 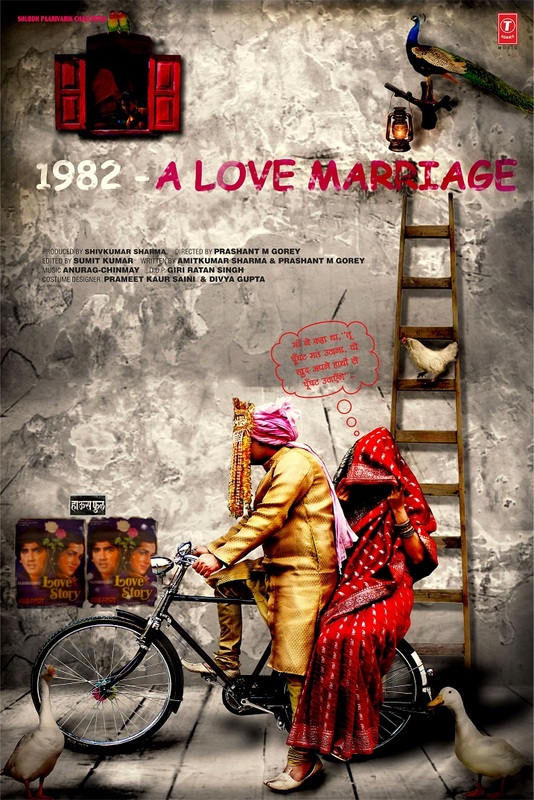 Synopsis- Love story between a daughter-in-law of a reputed family and a bounded slave living in the same Haveli. One who is officially a “slave” and one who becomes a “slave” of destiny. Synopsis- Behind every smile is story. Sometimes it tells us about the person smiling and often it tells us something about ourselves. The film does a little of both. 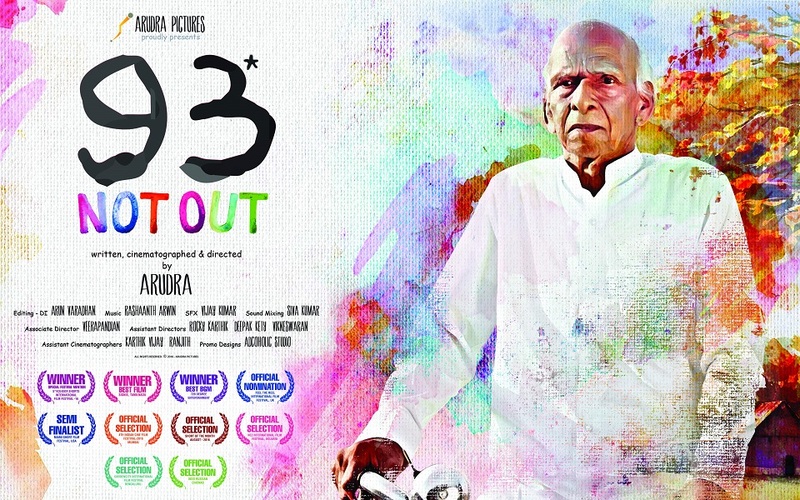 Synopsis- Story about a 93 old man who is a believer and he loves to read books. 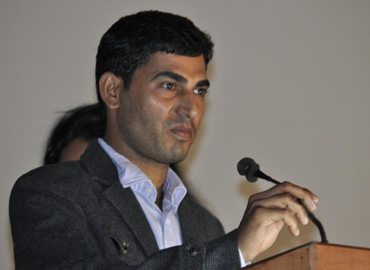 He has two desires – riding bicycle and buying a costly book. If the (G)old man’s two desires fulfilled or not that is the story of the film. 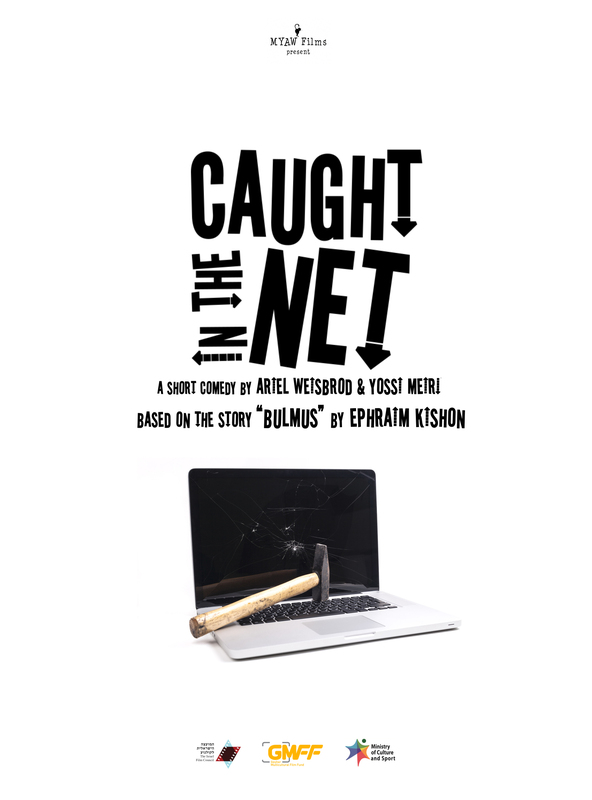 Synopsis- Nathan is trying to upload a file, but the neighbor's child is stealing his Wifi connection. Synopsis- In the Malwa-Nimar region of Western Madhya Pradesh (An Indian State), ‘Kalichaat’ is the name for a kind of exceptionally hard rock. 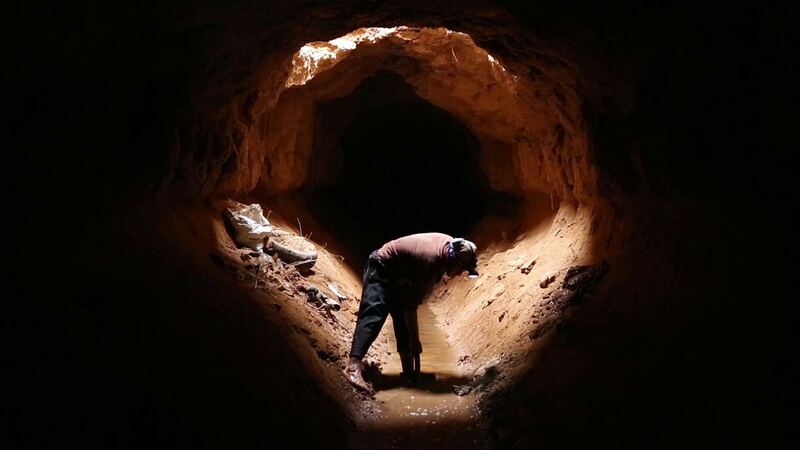 Encountering it while digging for water is considered no less than a disaster in this often drought-affected region. At the same time, it also presents a ray of hope because it is believed that beneath ‘Kalichaat’ lies boundless water, if it can be broken to reach it. Synopsis- "An affair" is about an indian woman from the upper class newly wed to	a bank manager who hardly has time to spend with his wife. Left in isolation in the house with nobody to communicate with she becomes like a bird in a golden cage. To pass her time she captures a cockroach for company unaware of what was about to happen as a consequence. Synopsis-In the chaotic 'old city' of Hyderabad, 18-year-old Raisa hatches a dangerous and improbable plan to save her younger sister from becoming a one-day bride. 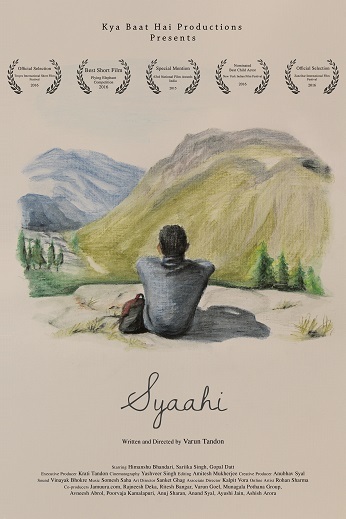 Synopsis- Set in a quaint hilly town, Syaahi is the story of the coming of age of a young boy through his relationships and circumstances. 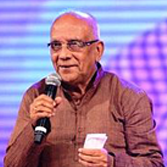 The National Awards jury recognized the film for the “conglomeration of sense and sensibilities depicted through the innocence of a young mind”. It’s a very important film to me, as it's very personal and has been inspired by my own childhood experiences. The film helped me cope with those personal memories and helped me develop a new perspective towards childhood. The team behind SYAAHI hopes that the film will similarly touch the hearts of the audience and take them back to their own childhood. 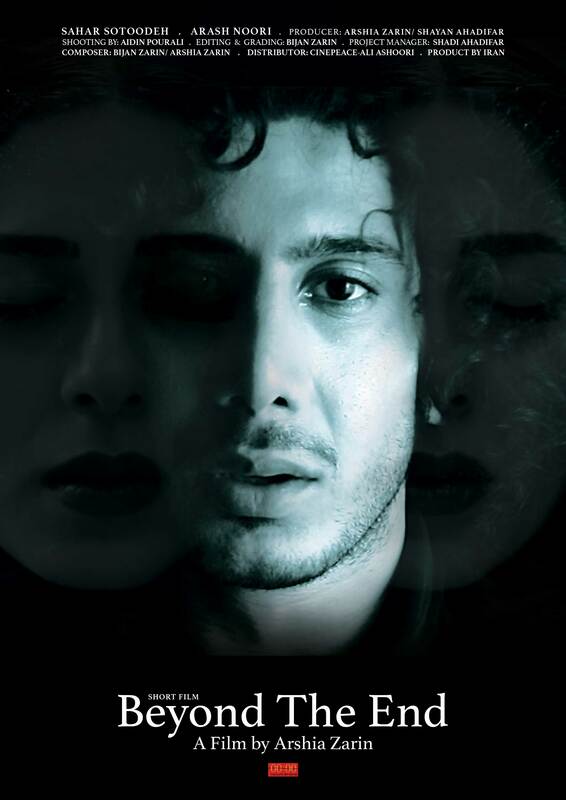 Synopsis- MANTOSTAAN is a dark satire based on four burning and the most controversial short stories (Khol Do, Thanda Ghosht, Assignment and Aakhri Salute) of Legendary Urdu writer Saadat Hassan Manto. Stories are set in 1947 India Pakistan partition time throwing a spotlight on most inhuman side of human beings. 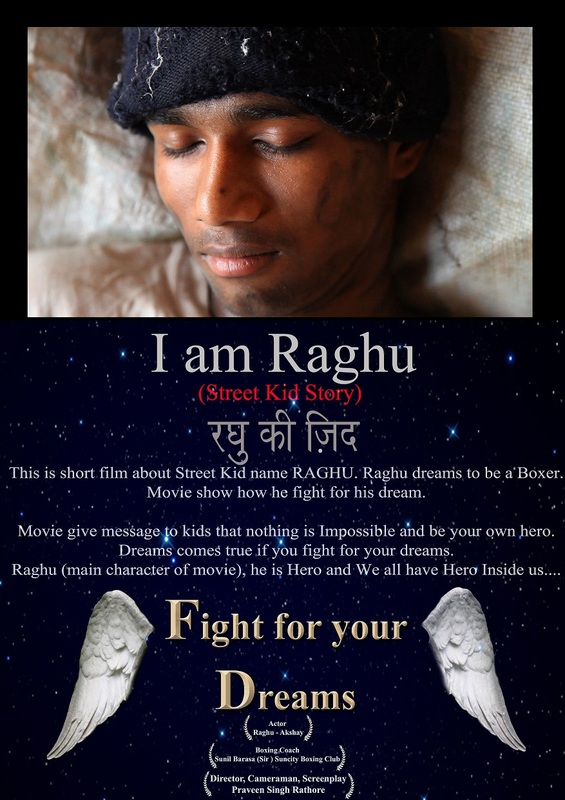 Synopsis- Pagdi is a Story of young boy Sagar. He Always Fight For Right . 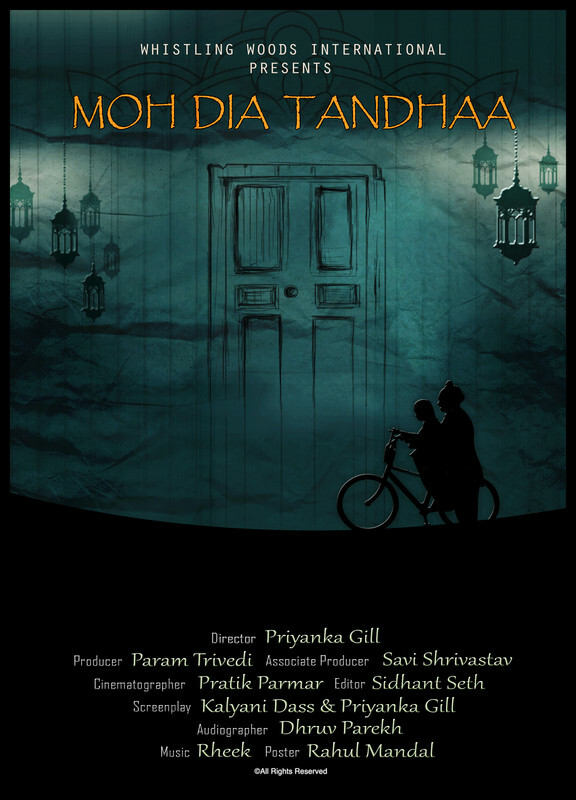 Screening Time- 11.00 A.M. - 10.00 P.M.
Synopsis- This is a tale of a time when Parents used to arrange their children's marriage without their permission and of the society where bride and groom didn't interact with each other before their marriage. Their First meeting was on the day of their marriage and their first date their "Nuptial Night". Prem who wants to do a love marriage is compelled to do an arranged marriage, Now he wants to do a Love Marriage with his wife, Suman(his wife)helps him to fulfill his desire. After Marriage, Prem and Suman face a lot of complications, during this time Prem realizes this is what he wanted and finally he gets his love and says "This is MY Love Marriage"
Synopsis- SELMA TRIES TO KICK MIRA OUT OF THE ENTRANCE OF HER BUILDING BUT SHE ONLY ANSWERS WITH THE WORD “FINE”. Synopsis- Chopo (60), a city man, has spent the last years searching for a legacy buried in his old family ranch in the mountains. 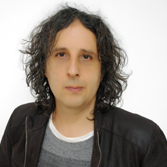 He builds apachetas as a reminder of his search. Cut off from all modern life, he has found a comfortable routine that is about to end when he gets what he saw . Synopsis- Claustrophonia is an interactive experience where the audience is directly involved in this post apocalyptic thriller with a romantic hint. A virus has destroyed mankind. A terrible virus that is transmitted by eye contact and let victims paralyzed but still alive. Mati seems to be the last person on earth able to move by herself. She's hiding herself, loosing her last hopes, when a music comes from somewhere. Just some notes, a heavenly Gary Jules is singing somewhere in the wind. That could be her last hope... Her way to find safeness, but above all her lost love, is scary and dangerous. She'll have to beware infected people but also face her memories coming strongly in what seems to be just a bad joke of her mind. At the end, where the music is at its loudest, three doors separate Mati from her hope to meet again someone special. Which one to open? The audience will decide. Synopsis- Parents living at the end of a quiet Cul-De-Sac discover a listening device inside their sons teddy bear. Synopsis- Quiet and dull, staying at the moments of bright past. A desperate shout that's a strange form for saying and catching eternal fire of silence... but not yet, again ready for judgment and treatment by power of love, whether real or imaginary, two people at the same time and space at a glance. 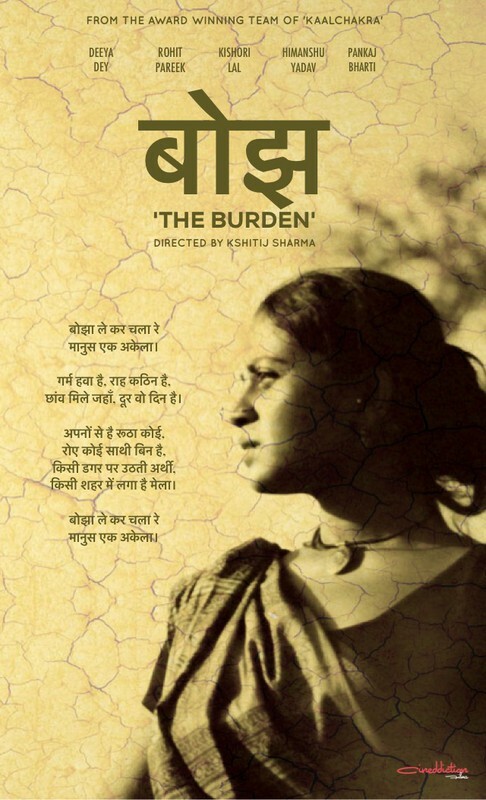 Synopsis-Set in rural Rajasthan, Bojh is the story of a woman trying to keep her balance while walking the tightrope of a male patriarchal society. A chance encounter with a travelling salesman, sends ripples through her life. 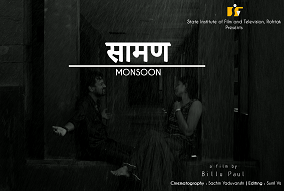 Shot on location in Gogasar (Rajasthan), Bojh was made on a total budget of USD 800. 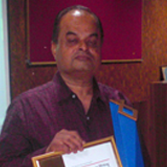 Synopsis-A polio vaccination program is being conducted by the health ministry of India. The film showcases an unusual incident happens with one of the nurses while conducting the program. 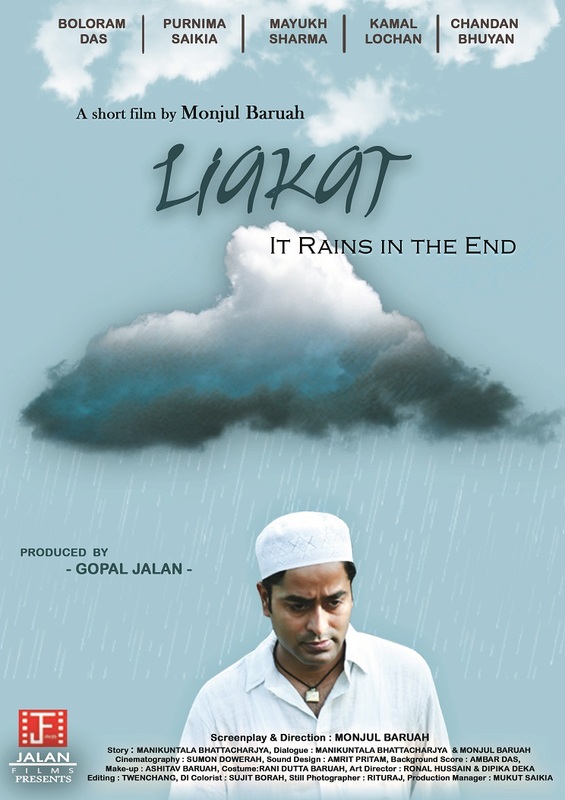 Synopsis- ‘Liakat’ is about the twist in the friendship between Liakat and Hanif, brought on by Liakat’s sense of loss over Hanif’swell being, about which Liakat has been apparently concerned so far. In a fit of jealousy at the certainty of Hanif’swell being, he seeks to shape Hanif’s life in a different way, but his this attempt brings his own life to a fateful state instead, showing thus the fragility of individual’s commitment to personal ethics. Synopsis- Soldier is soldier in any country and he remains always an unsung hero throughout. That is what exactly the context of the film. Synopsis- Some love stories do not need heavy literature and poetry. They can define ‘love’ in one single word. For Nandini and Shekhar, that definition was hidden in the word, ‘Good’. 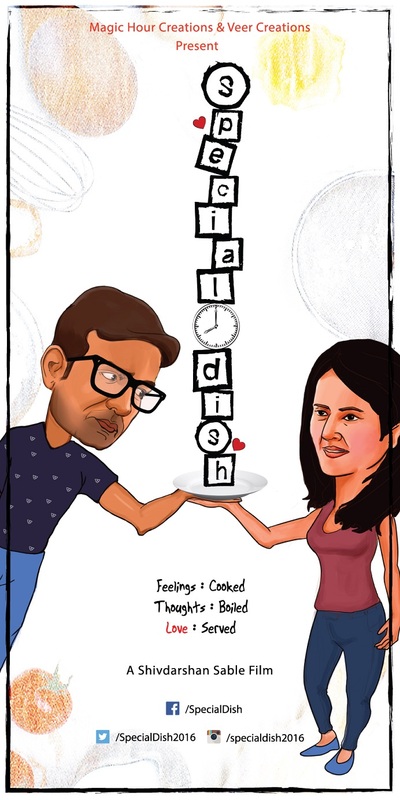 Special Dish revolves around Nandini (Manava Naik), an upper-middle class housewife and a chef by passion, who spends her day surfing TV channels, dreaming of appearing on a cookery show and whipping up special dishes for her taciturn husband Shekhar (Abhijeet Satam). 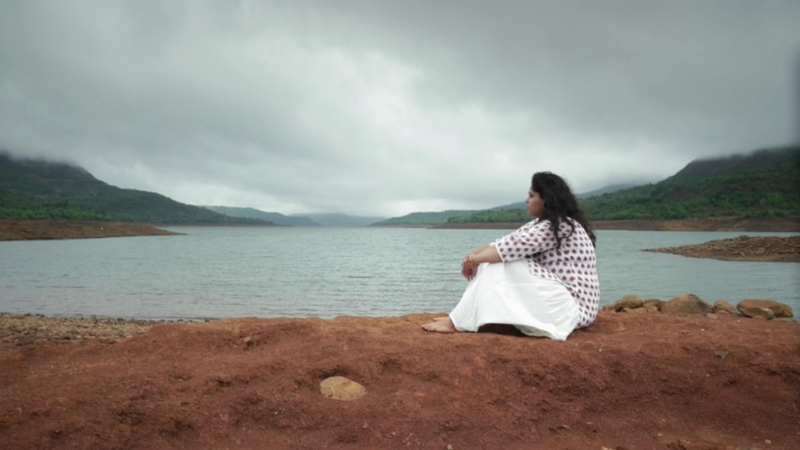 Frustrated by her husband's monosyllabic approval and the lack of communication between them, Nandini starts writing a food blog to seek a platform for her passion and becomes an overnight success with thousands of fans writing to her every day and praising her for her recipes. However, the one person whose appreciation she craves seems to be blissfully unaware about this and a disheartened Nandini finally decides to stop making 'special dishes' for her husband. What happens next? Watch ‘Special Dish' to find out how simple love stories become extra-ordinary. Synopsis- Life is only lived in full, when you embrace love and despair together. This is Annie’s life. 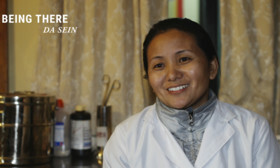 She lives with her mother and has a dream to become an artist - like her father. Annie’s mother doesn’t want that, perhaps due to a failed relationship with her husband. Annie pushes on and leaves her mother to become an artist. Her mother cannot bear this loss. Over many years of separation, her body withers away. When Annie returns, she finds her mother paralysed. She tries to revive her through one last performance and is able to confide her feelings to her at last. But perhaps it’s too late. Synopsis-1. Structural or functional evolution of an organism towards higher survivability. 2. Process of an individual becoming better suited to environment and more resistant to outer stress. 3. The ability of eyesight to adjust to seeing in the dark. 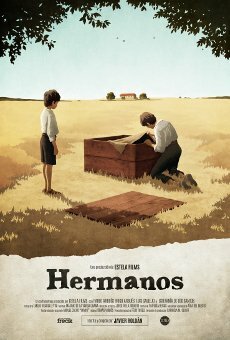 Synopsis- It’s a story of Siblings who got eventually separated while growing and meet to sell their house after few years. And while their meeting how they solve their differences. Synopsis- A woman is faced with a dilemma and a series of events that has her choosing between reason and her own beliefs. 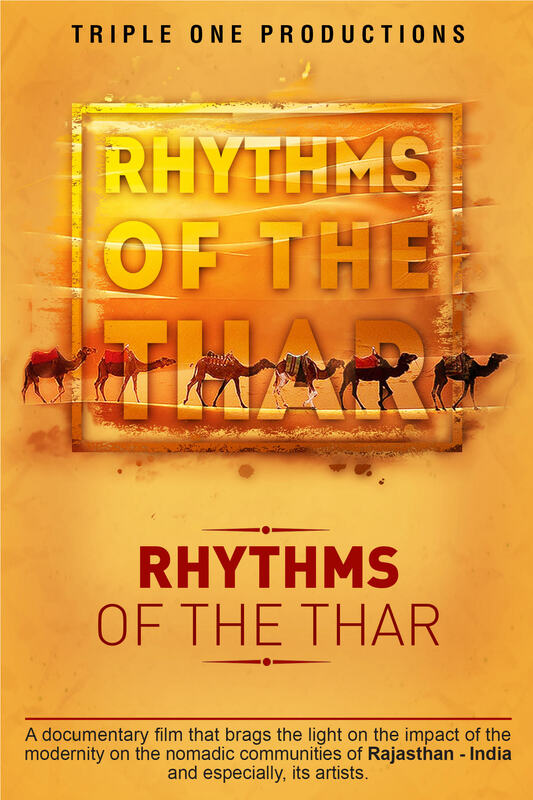 Synopsis- Rhythms of the Thar is a documentary film that highlights the main aspects of the life of the nomadic communities of Rajasthan, specially its artists. 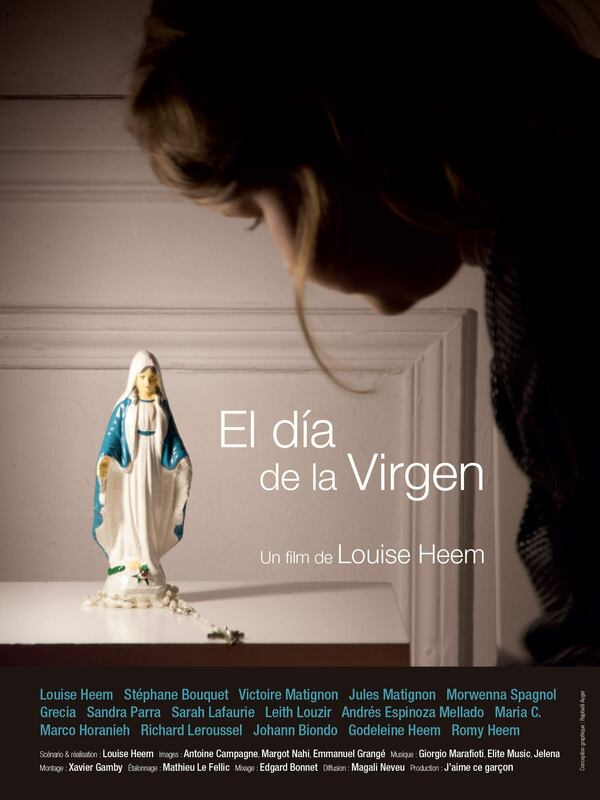 Synopsis-Sarah, a French-speaker, lives in a city where the majority of the inhabitants are Spanish-speakers. Due to ethnic riots, the government has decided to divide the city into three zones and separate them by a wall. 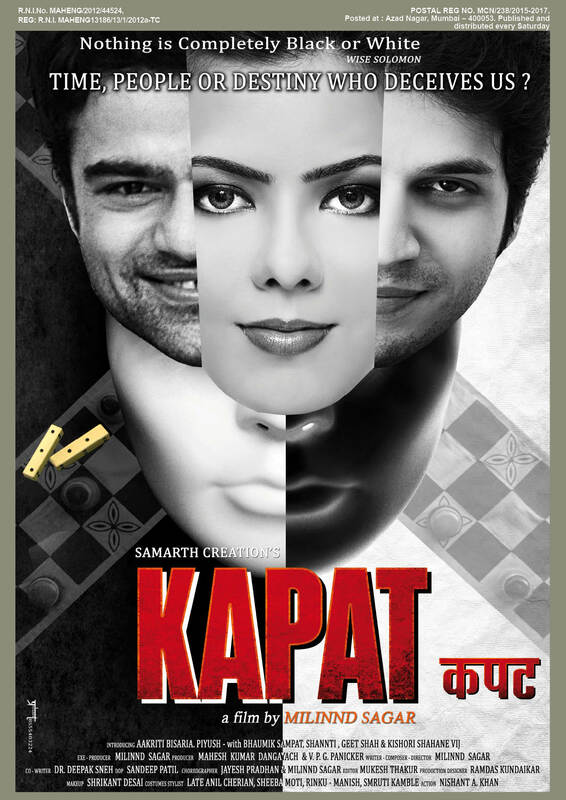 Synopsis- “Time, People or Destiny of Deceives us..”Kapat is a story of intentional revenge which in turn becomes an unintentional revenge and ends the story on a happy note where the saying all is well that ends well is satisfied. Synopsis- Largely unchanged for more than a century, the projection of photochemical film faces an uncertain future in the digital age. The practice of handing and projecting film is in danger of being lost; and the role of film projectionist is nearing extinction. 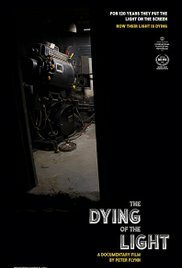 THE DYING OF THE LIGHT explores at the history and craft of motion picture presentation through the lives and stories of the last generation of career projectionists. By turns humorous and melancholic, their candid reflections on life in the booth reveal a world that has largely gone unnoticed and is now at an end. The result is a loving tribute to the art and romance of the movies—and to the unseen people who brought the light to our screens. 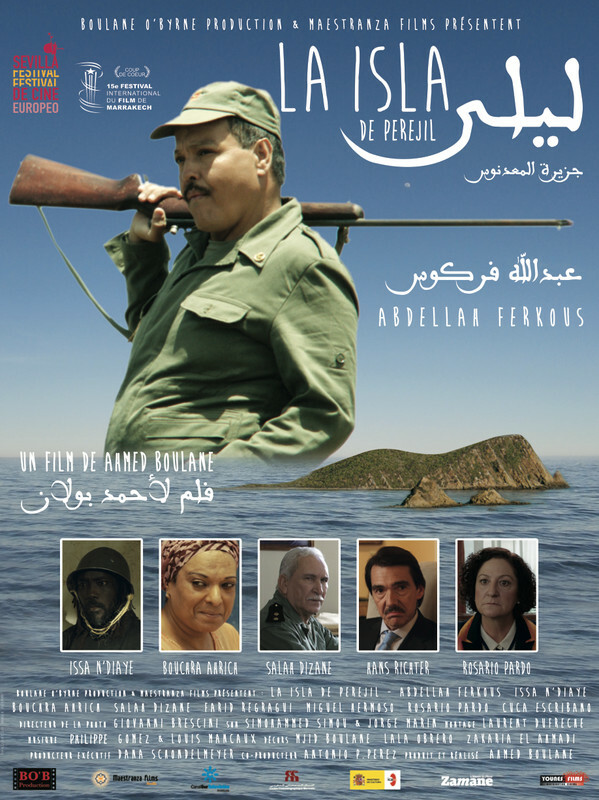 Screening Time- 11.00 A.M. - 07.00 P.M.
Synopsis- Ibrahim, a Moroccan soldier, is sent to a deserted island off the Mediterranean coast of Morocco. His orders are to monitor the movements of drug smugglers and illegal immigrants, but--a pawn in a larger game--he is being used by his superiors for murkier aims. Ibrahim finds a Sub-Saharan man, Mamadou, washed up on the beach. While the unlikely pair tries to survive on the small, stony island, they inadvertently trigger a diplomatic incident that crescendos into a regional military crisis. Based on actual events. Synopsis- Once village Rebolda on the edge of the Big Solovetskyisland was inhabited. Now it comes back to life only once a year, in the summer, when brigade of seasonal workers comes here to gather sea weed for the Archangelsky weed factory. On a low tide they go to the sea on their wooden boats and scythe sea weed with their long-stalk scythes. Than they hang it on barbed wire and dry it. 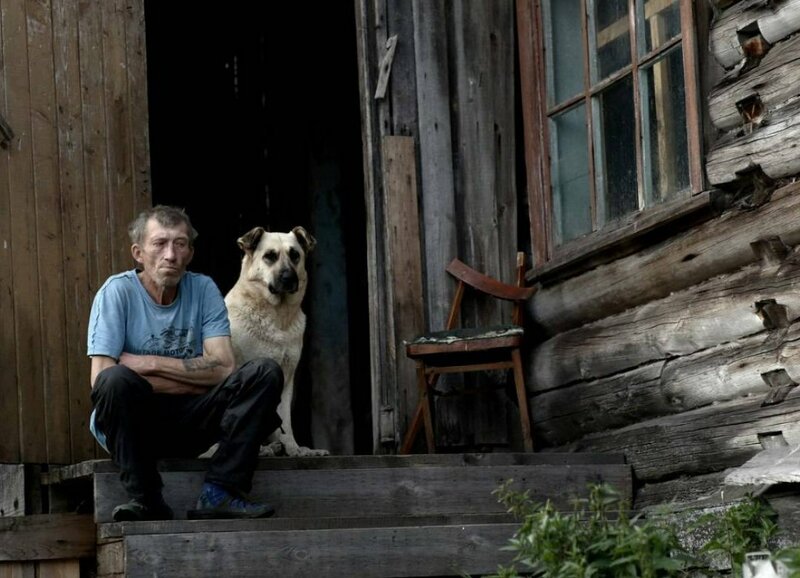 When workers leave, only one person remains on the island – keeper with his dog. He will live here until next May, when brigade comes back. 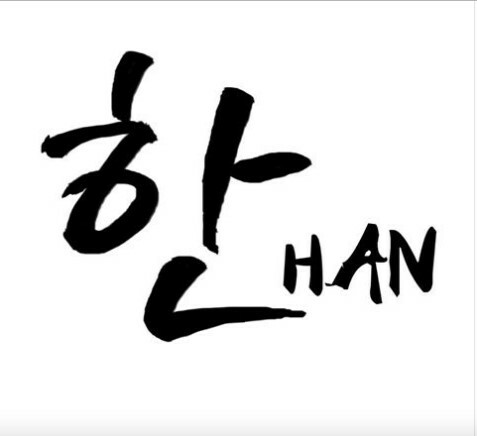 Synopsis- This film is about Hoh Yim, a stoic, retired lieutenant colonel and single father. 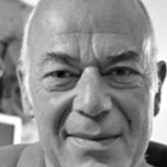 His son, Gideon, is a political cartoonist and blogger. Their relationship is tested when Gideon is responsible for a fatal hit-and-run which resulted in the death of a young female Korean translator living in Singapore. 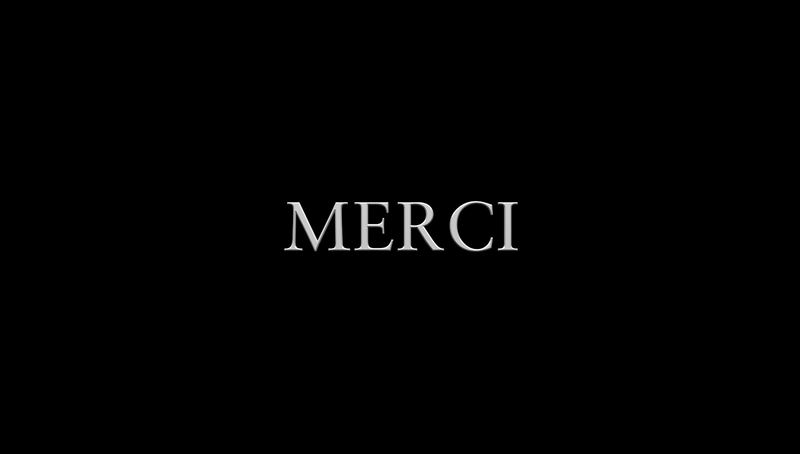 Synopsis- The film “I met you tomorrow” tells about Alzheimer and about two types of bewilderment: that of the person who’s vanishing and the one felt by who would like to keep in the eye the night dream which is inexorably dissolving. Through a deliberate misunderstanding, the director leads the viewer across the same bewilderment: the mirror and the reflected image no longer coincide. 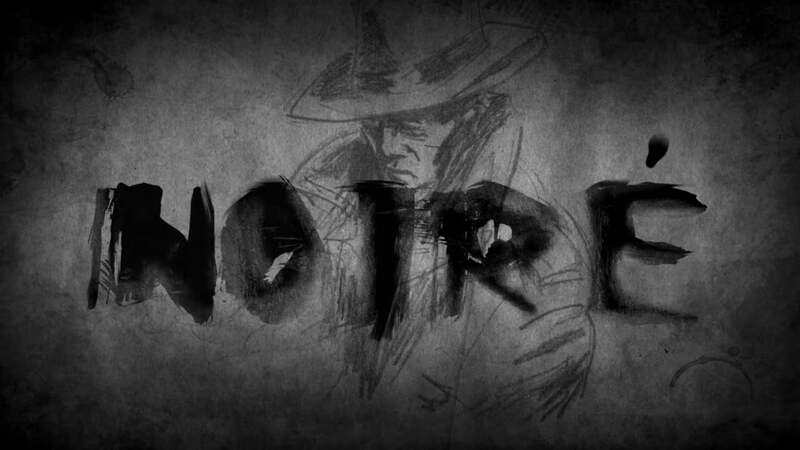 Synopsis- “Justice without force is powerless; force without justice is tyrannical.” A teacher finds the noir-world from his comics he is preparing for publishing start to appear beyond the school walls and his character slowly turns into his protagonist, the private investigator. Synopsis-A corrupt cop, trying to go straight, finds everything crashing down around him when he's tracked down by his previous criminal associates. 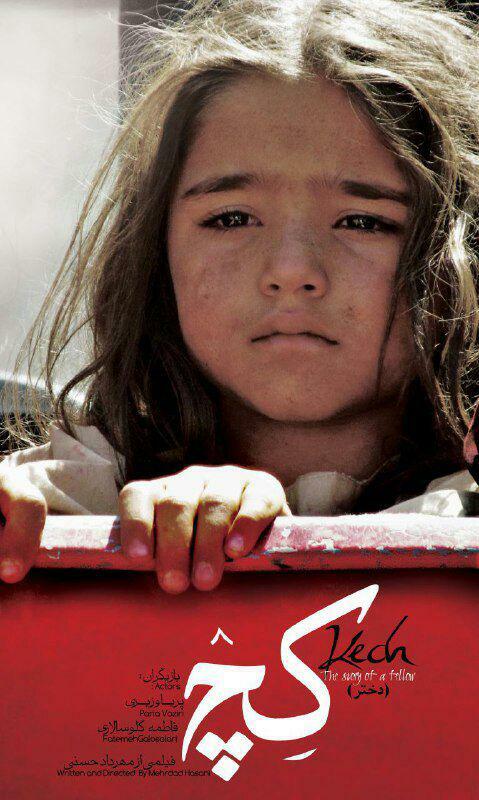 Synopsis- A nurse sacrifice her life on saving the life of a little girl in a war zone. 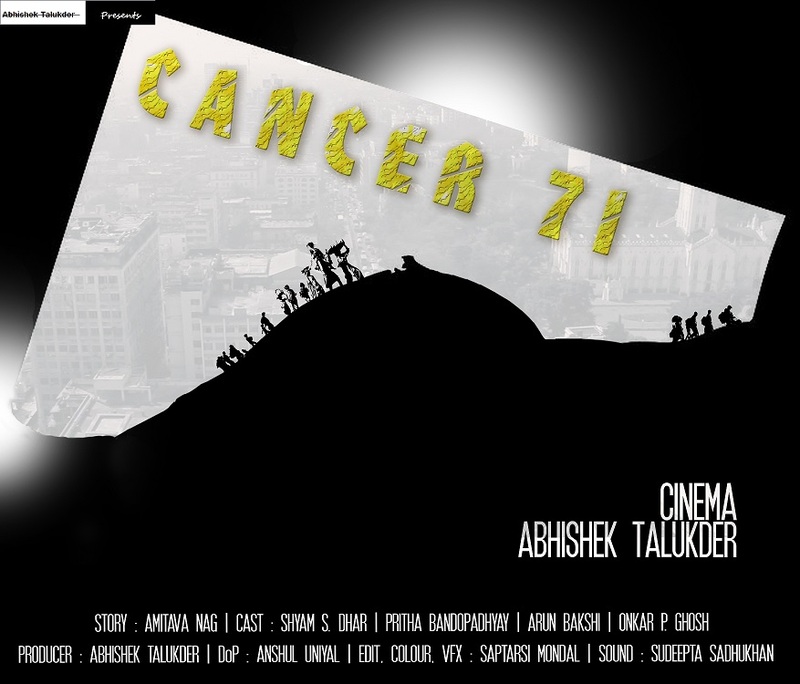 Synopsis- A true story of a cancer patient, fighting a dying battle. 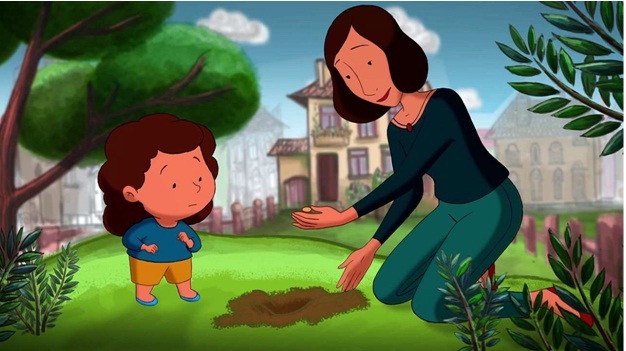 A train journey, totally changes his mother, who was emotionally so weak and soft for sentiments and who would easily burst into tears, into a strong mother. 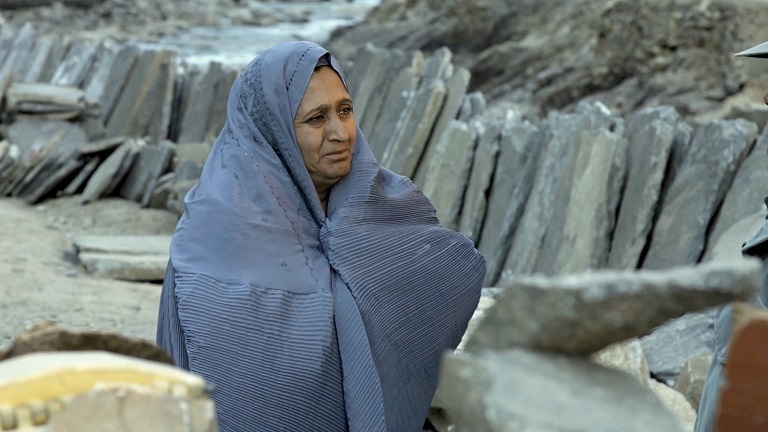 She holds back her tears in doing the last responsibilities for her son, as she stops herself from crying or falling into any emotional bait. 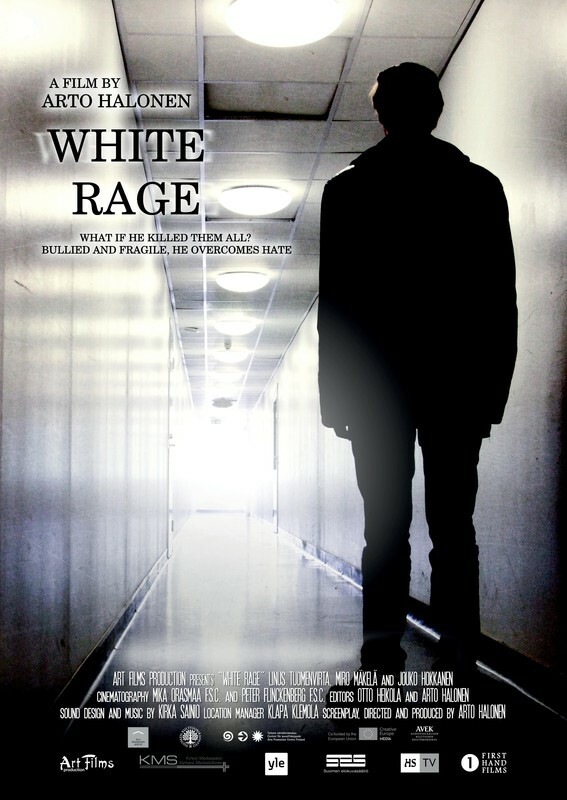 Screening Time- 09.00 A.M.- 05.00 P.M.
Synopsis-The film is also about our society: a society without sufficient understanding or desire to address the emergence of school violence. 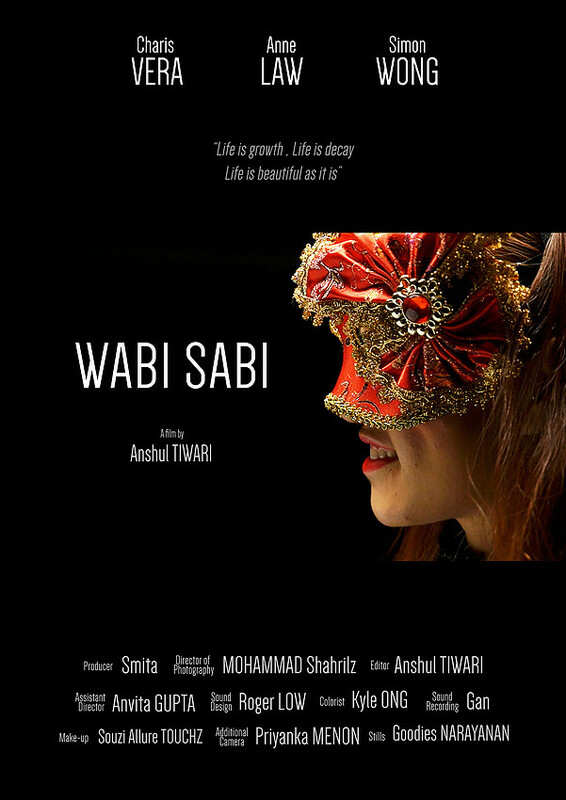 Synopsis- Little Ami finds out her mother must leave on a business trip. Mom tells her a white lie to appease her mind while she is away. Find out what happens when the innocent lie turns true in a way neither of them expected. 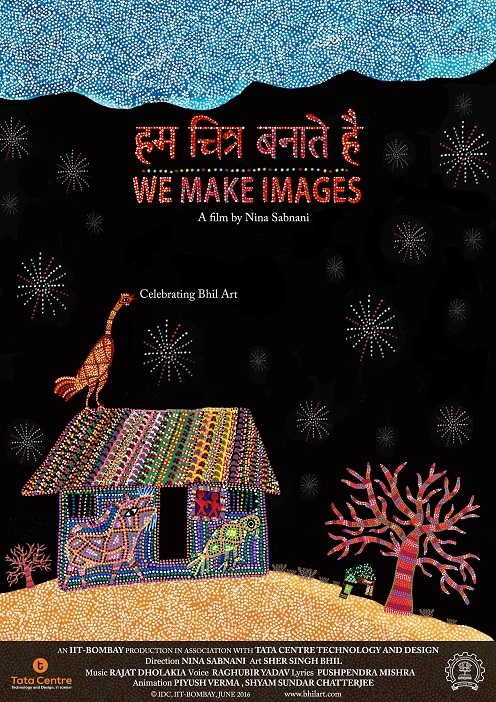 Synopsis- “WE MAKE IMAGES” is an animated origin myth told together by the indigenous artist Sher Singh and the filmmaker Nina sabnani that explains the reason of painting by the Bhil community in Madhya Pradesh . Synopsis- Tehran's air pollution has reached maximum levels because of thermal inversion. Unmarried 30-something Niloofar lives with her aged mother, and stays busy with her alterations shop. 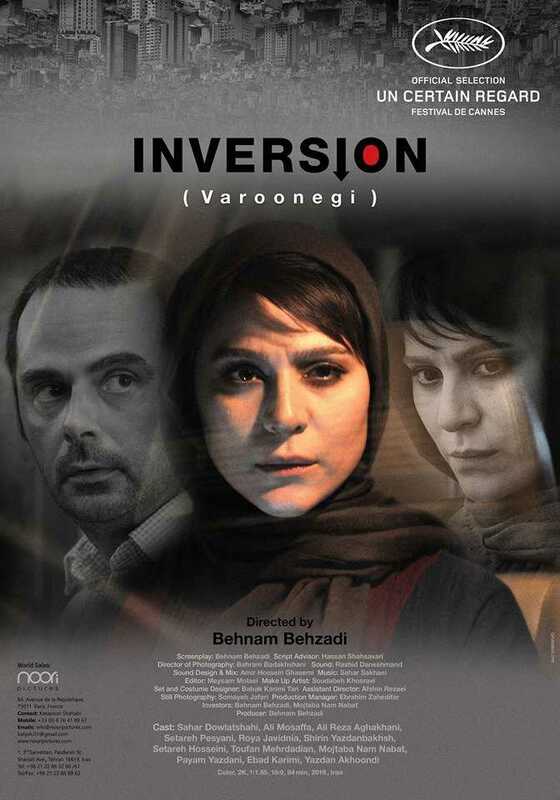 When doctors insist that her mother must leave smoggy Tehran for her respiratory health, Niloofar's brother and family elders decide that she must also move away to accompany her mother. Niloofar is torn between family loyalty and living her own life and pursuing a potential love interest. She is the youngest and she has always obeyed their orders, but this time she must stand up for herself. 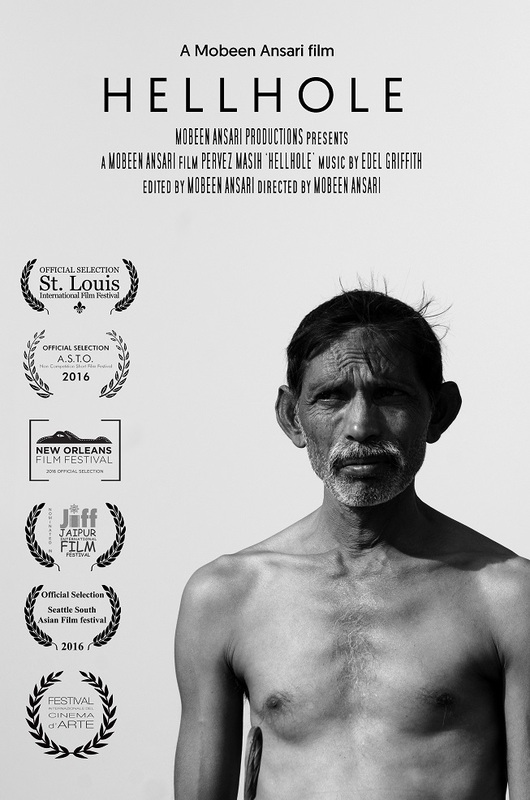 Synopsis-An aged tailor, a Bangladeshi refugee, who witnessed the sexualized violence (namely, chopping off women's breast) that took place during the Bangladesh Liberation War (1971), and an Indian middle-class woman, who is a victim of breast cancer, have been struck by the singularity of events in which they are forced to take part. Both of them have become the victim of time and the absurdity of gender politics. Synopsis- KLEZMER is a realistic and metamorphic story about journey through wartime land of EVIL. It is set during WORLD WAR 2 in the polish country side , although away from the frontlines. It seems that nothing has changed there and life goes on just like before the war. However people carry the war in their hearts and souls. Synopsis- We all talk about Women issues and minorities but nobody talks about those people who belongs to socially higher cast in India. 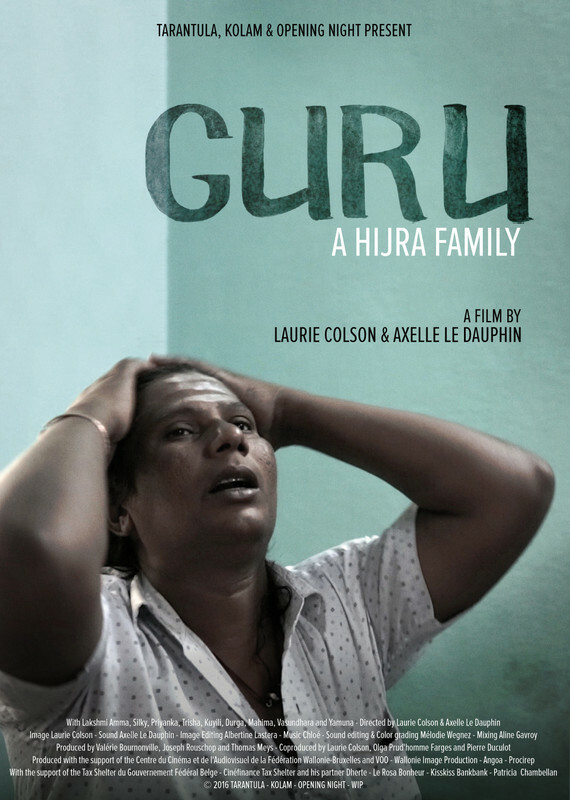 This film is about a family who belongs to Brahmin community. There are some rituals in Hindu religion for Brahmin. How this family of a Brahmin faces consequences of these religious rituals and what way their daughter find to rescue her family. 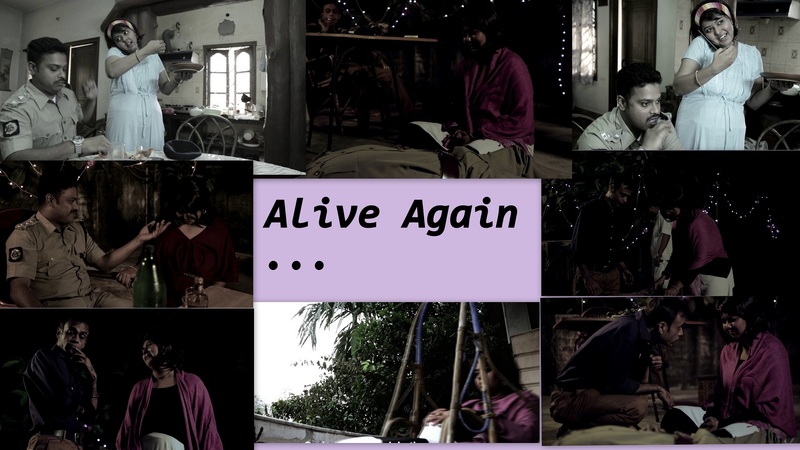 Synopsis- Alive Again is a journey that a woman goes through once she is encountered with extraneous circumstances. 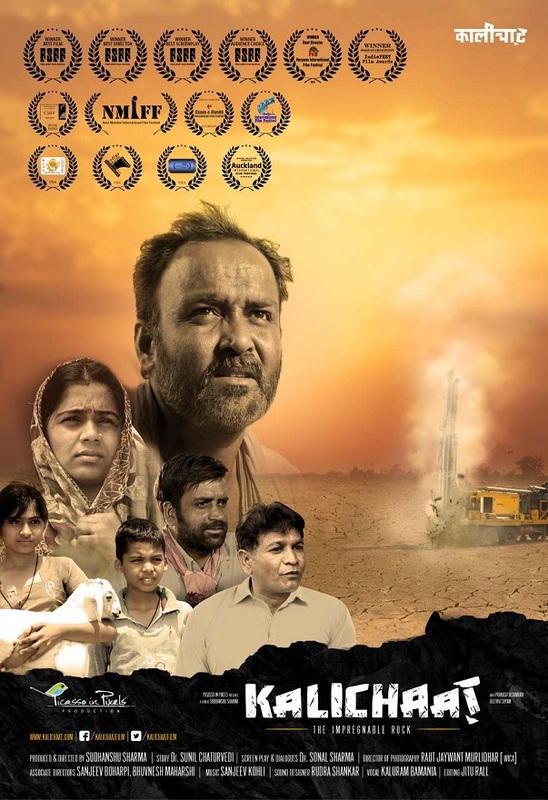 Screening Time- 11.00 A.M. - 06.00 P.M.
Synopsis-The film portrays the life of a married couple in rural Haryana,India. The husband studies in film school staying out of the town and wife remains at home. Eventually, the loneliness in the life of the wife starts to create a guilt inside the husband. The dilemma of holding the responsibility of the family and respecting her own desires finally takes her to the critical point where she has to look inside for the answers. 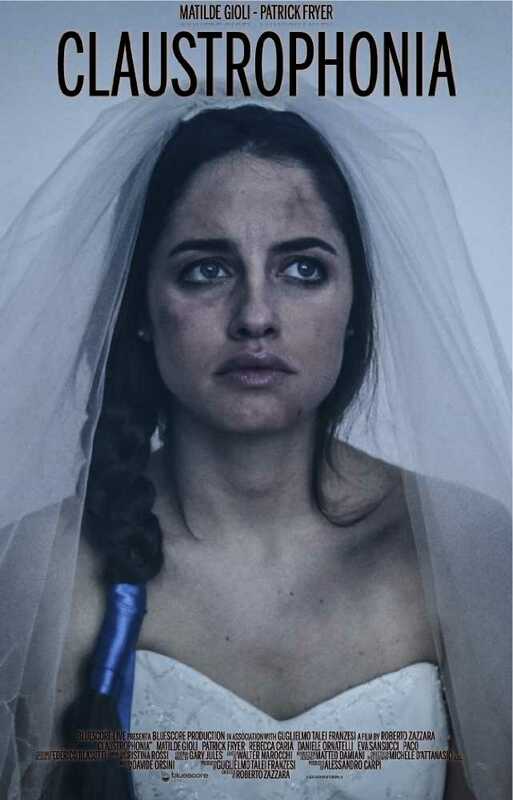 The film reflects the conflicts and complexities present within the setup of marriage institution and the conditions with which humans have to live with it. Synopsis-Rina who is a simple girl gets married in orthodox family and later she realizes that she is in a trap and her Independence have been taken by her husband, she looks at her mother in law where she is totally surrendered her life for husband, Rina realizes that she has to take some stand and have to move away from here so she takes decision against all family member and chooses her life. 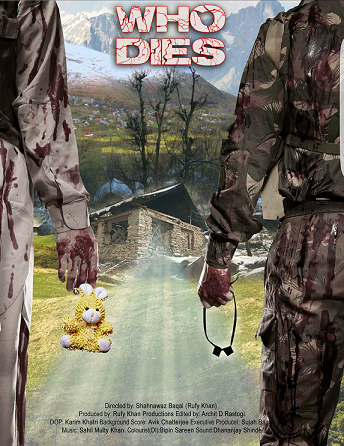 Synopsis- Two young brothers have their first contact with death. 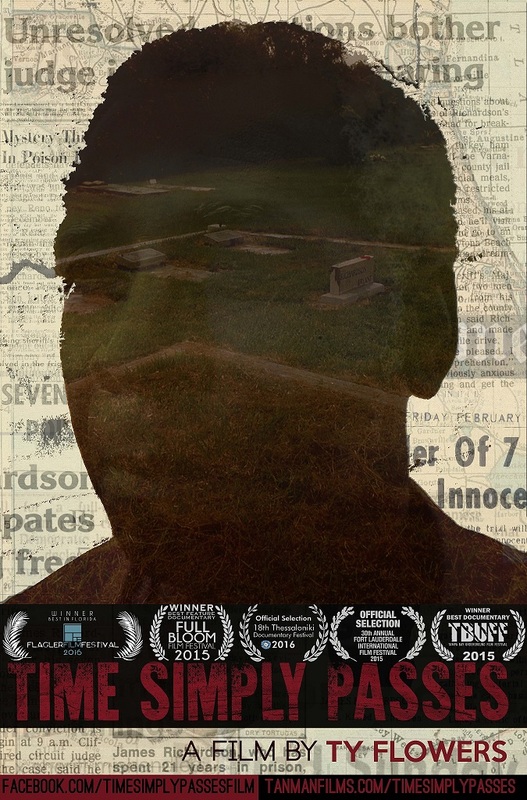 Synopsis- A father, mother, and child lead their life in the midst of a remote landscape. The prairie breathes its natural rhythm just like the family does. The young girl wanders around the land's confined infinity. What seems like an innocent exploration becomes a confrontational awakening. Synopsis- A story about the funny side of apathy, selfishness, and loneliness in a world where following the rules is a misunderstanding. In 2015, in a small Bulgarian village, a bus stops at the only intersection, where the traffic light is stuck on red. Stoyan (63), the bus driver, refuses to move forward which provokes a conflict with the passengers and the local law enforcement. 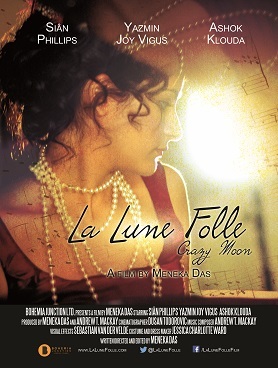 Synopsis- After the loss of a loved one, timid Carly struggles to face her audition at a prestigious music conservatoire. As she awaits her turn in the empty corridor, a picture of a 19th Century young, confident woman on the wall catches her eye. Desperate to find courage Carly escapes into a fantasy. Imagining herself as the young woman, she is no longer afraid of facing her audition but also of letting go of even deeper fears. Synopsis- A story of an unending journey beyond the realms of life and death. Synopsis-What if your dream day becomes your worst? 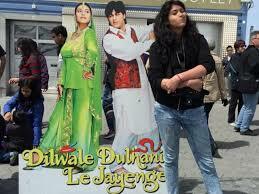 Payal, a runaway bride walks through Times Square. Distressed, lost and still dressed in her wedding dress, she decides to go away from the busy NYC streets. A little tipsy, she reaches Brooklyn bridge walkway. Engulfed with feelings of despair and sadness, she decides to end her life. Just as she’s about to jump, she is interrupted by a charming stranger, Sandeep. 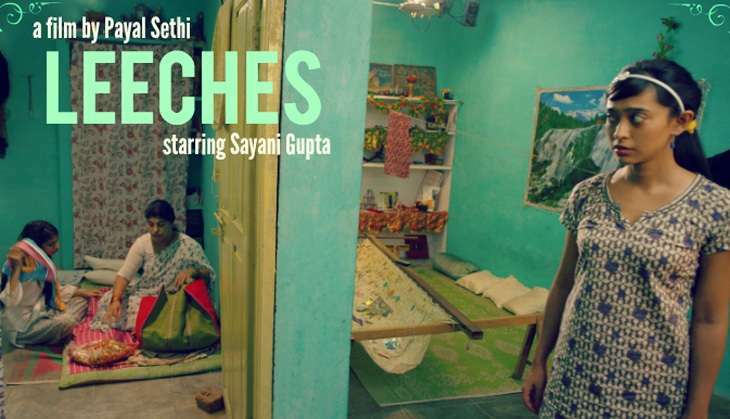 Screening Time- 01.00 A.M. - 04.00 P.M.
Synopsis-Devki finds herself in a continuous conflict between her wish to be emancipated and the deeply rooted traditions of Indian society. 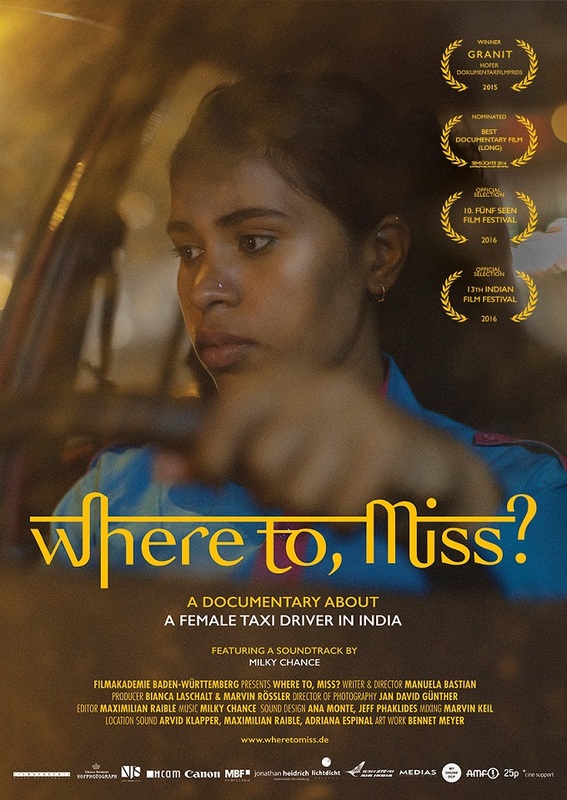 The film ''Where to, Miss?'' 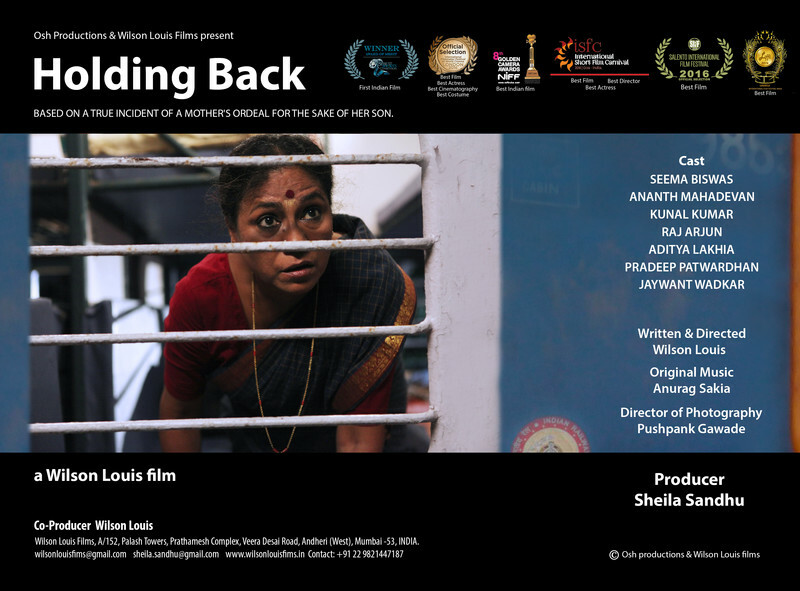 tells the story of a courageous young Indian woman in a period of three years, as she goes through three roles: daughter, wife, mother. Her biggest wish is to become a taxi driver. She would like to ensure that other women reach home safely and would like to be financially independent. On the road to achieving her goal, she must withstand the opposition of her father, then her husband and in the end her father-in-law. 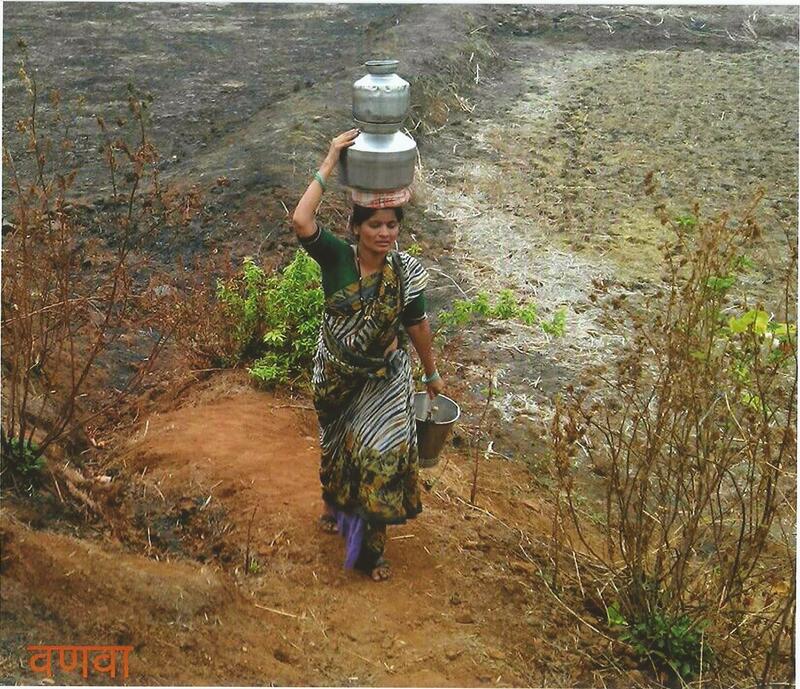 Her daily routine is defined by the constant battle to defend her aspirations and attempting to pave a way for her to achieve her dreams without alienating her family. ''Where to, Miss?'' 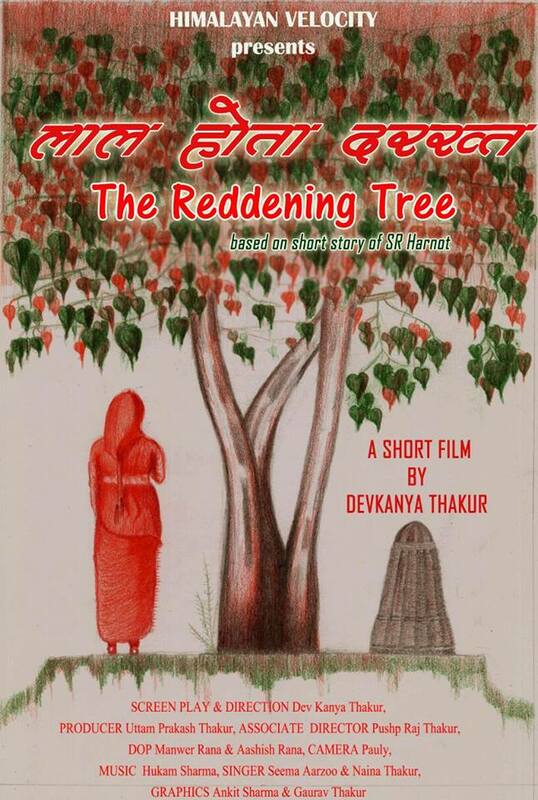 follows Devki's story, as it tell us why Indian women find it difficult to free themselves from their traditional roles. Synopsis-For the Klurs, nothing is going right: their factory that had made suits for Kenzo (LVMH) was relocated abroad. Now unemployed and in debt, the couple stands to lose their home. That’s when François Ruffin knocks on their door. Can they manage to pull one over on Bernard Arnault, CEO of the world’s leading luxury group and France’s richest man? Synopsis- Yan was hospitalized after a car accident. From an old scar on his shoulder, doctors recognized him as the survivor of a well-known conjoined twin separation surgery that took place at the same hospital years ago. As Yan was being treated for his injuries, a series of terrifying incidents happened at the hospital, causing hospital-wide panic. GaoHai, the administrator of the hospital, accused Yan as the person behind the incidents, because a piece of evidence was left behind at the scenes - evidence tracing back to Yan’s separation operation. Synopsis- It’s 1948 and the Cold War has reached Chile. In congress, Senator Pablo Neruda (Luis Gnecco) accuses the government of betraying the Communist Party and is swiftly impeached by President Gonzalez Videla (Alfredo Castro). Police Prefect Oscar Peluchonneau (Gael García Bernal) is assigned to arrest the poet. 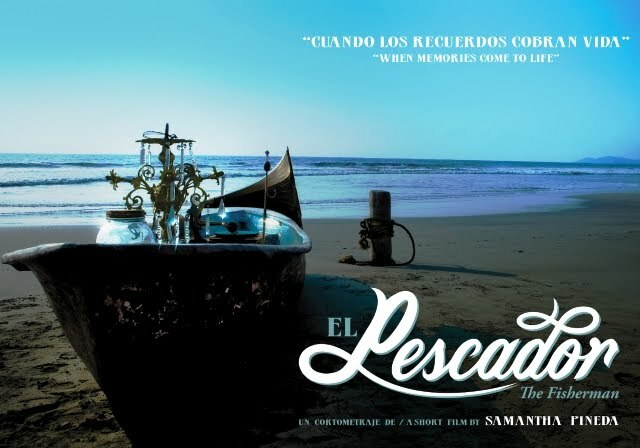 Neruda tries to flee the country with his wife, the painter Delia delCarril (Mercedes Morán), but they are forced into hiding. Inspired by the dramatic events of his new life as a fugitive, Neruda writes his epic collection of poems, “Canto General”. Meanwhile, in Europe, the legend of the poet hounded by the policeman grows, and artists led by Pablo Picasso clamor for Neruda’s freedom. Neruda, however, sees this struggle with his nemesis Peluchonneau as an opportunity to reinvent himself. He plays with the inspector, leaving clues designed to make their game of cat-and-mouse more dangerous, more intimate. 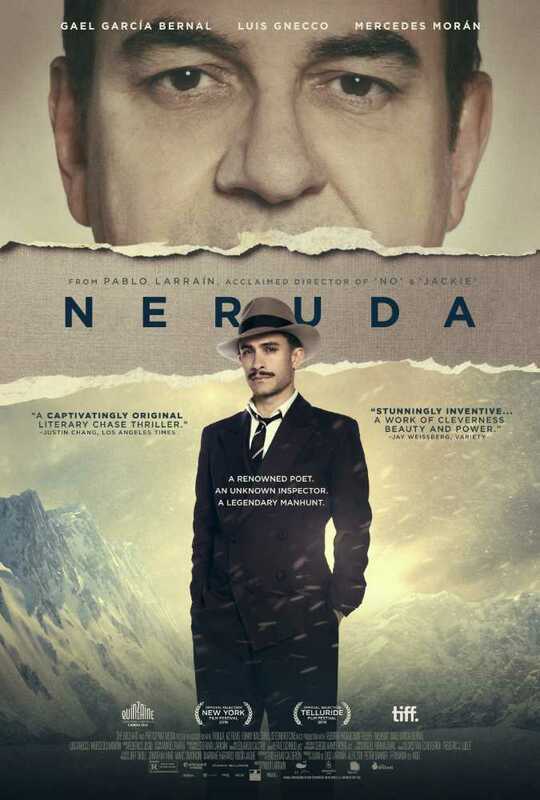 In this story of a persecuted poet and his implacable adversary, Neruda recognizes his own heroic possibilities: a chance to become both a symbol for liberty and a literary legend. Where you are living does not matter, if you are a film buff, come to JIFF, Jaipur every January. You can find and see wonderful films. Meet here with talented people & film makers, writers, directors, producers, distributors, sales agents, find here new thoughts, ideas and business. I would like to share with you some thoughts. So instead of treating it as my message, please take it as our mutual discussion. The cinema of the 21st century is no longer confined to a theatrical setting. 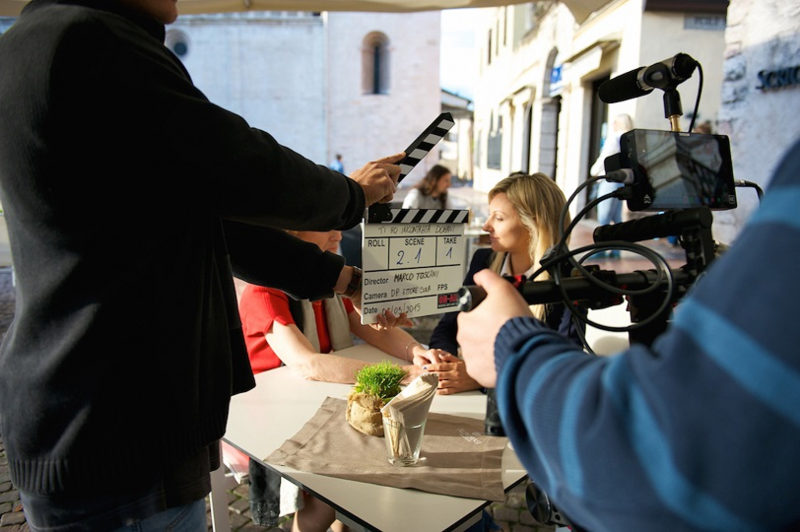 With film lovers seeking content via myriad distribution outlets, creators are working hard to maintain artistic intent in an ever-evolving landscape. You may like to explore the issue further during the Festival. Technology is evolving faster than we could ever imagine. We are living in a world of constant and incessant innovations, particularly in digital technology. Human behavior and business models have been merging and redefining content, workflows and revenue streams. And the JIFF is the perfect forum for deliberations on such subjects. Second decade of 21st century has seen revolutionary changes in the Film Festivals, especially in the field of film submissions. Most of the submissions are happening through digital medium now. In 2009, all the films were submitted at JIFF by post or by courier. In 2017, 98% of the films have been received by us through digital medium. This is a very very big change. Not just this, films are being marketed using digital medium. Due to technological advances, now a film can be screened in real time. These developments are good for cinema. Films are being made in lesser time, resulting in lower production costs. Now we have more opportunities to make and showcase films. In totality we are lucky. Good films are reaching common people through film festivals. But I believe we need to take time off a bit to think about an important issue. Film audiences of India especially Northern India are still crazy about charisma of film-stars, in fact they are slaves to film stars. JIFF has continuously been bringing films from around the world for cine-lovers. We will continue doing so. We feel that good films are like Epic and film buffs must get a chance to watch them. So let's watch and discuss world cinema. 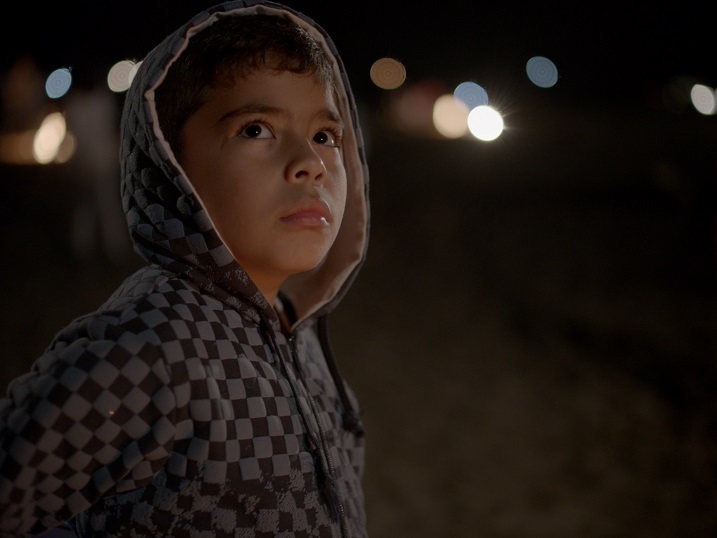 Join us from January 7 to 11 and meet film makers from around the world. Finest films from around the globe have been received for screening in the Festival for which we are thankful of the film makers. 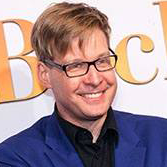 It will be a unique experience to watch the films and appreciate the creativity they reflect. JIFF 2017 is dedicated to film lovers. And yes, please remember next year JIFF enters into the glorious decade of its existence serving cinema and you may look forward to participating in grand celebrations.